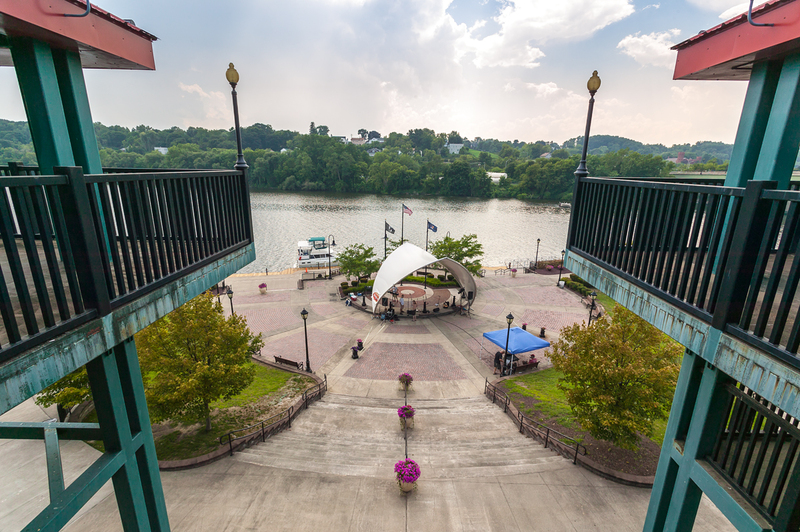 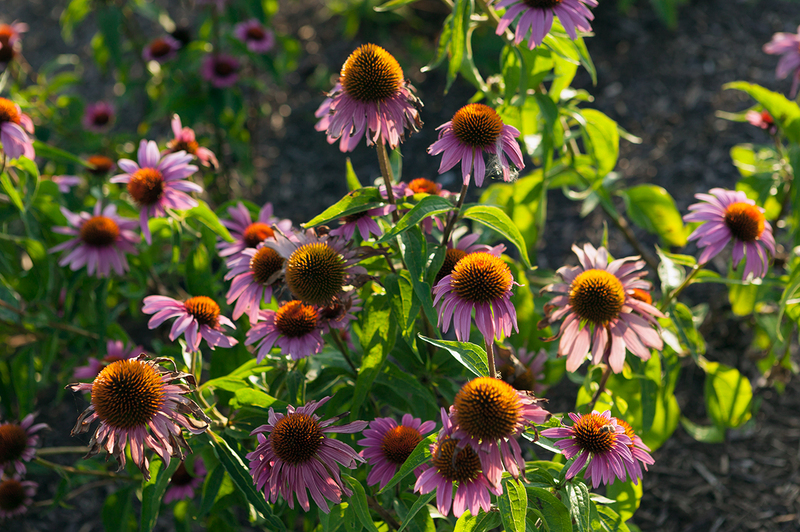 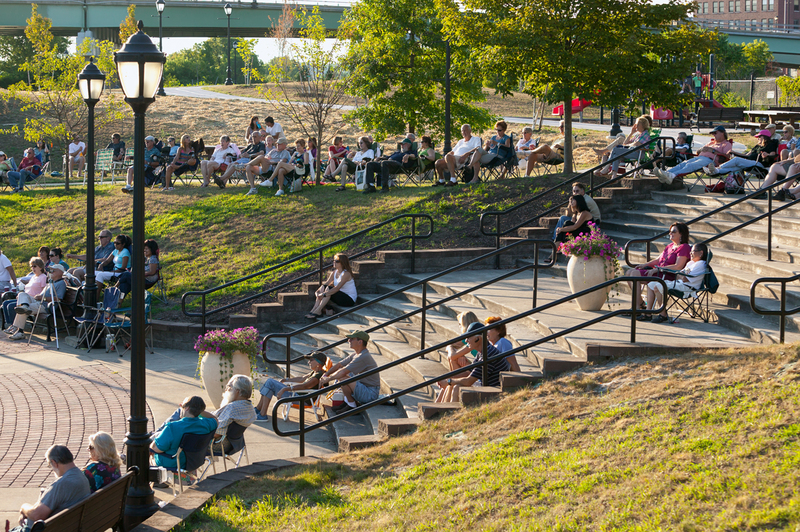 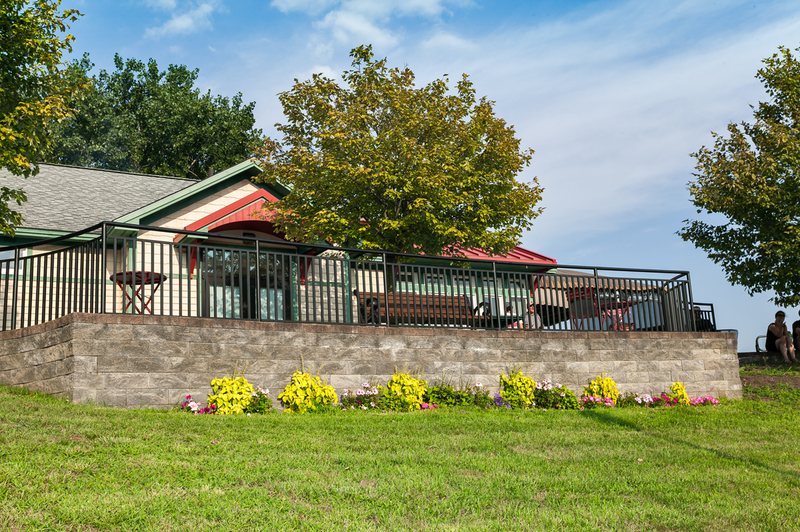 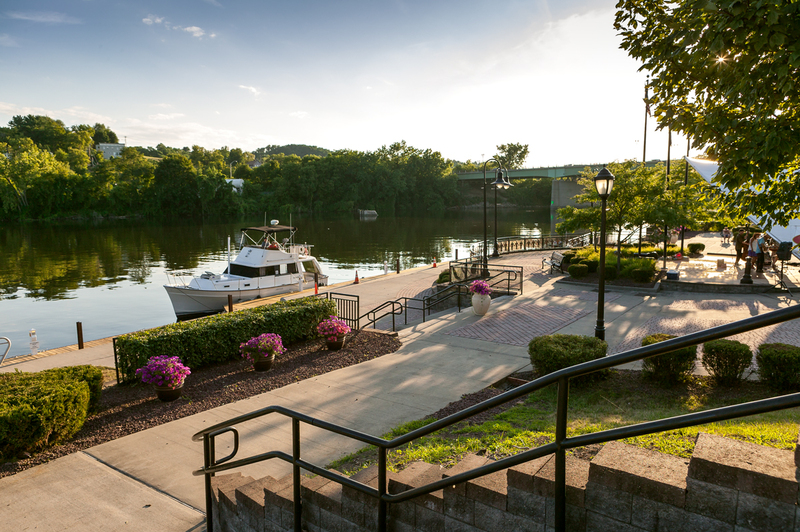 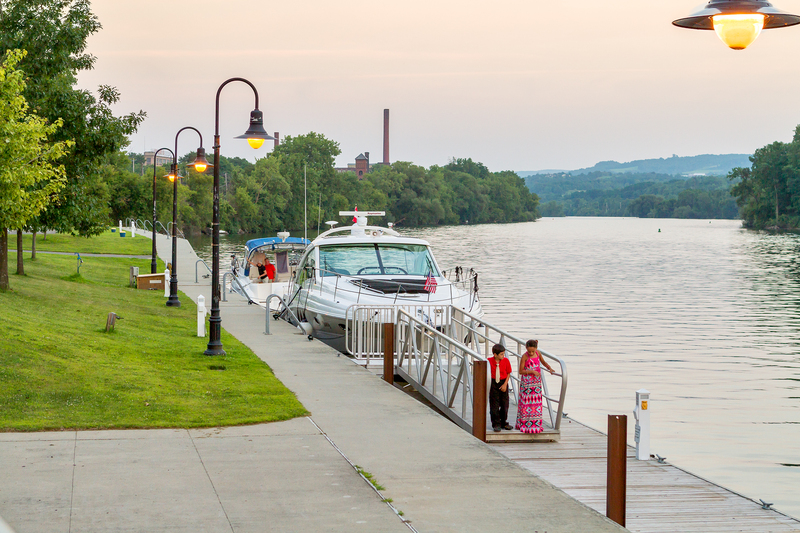 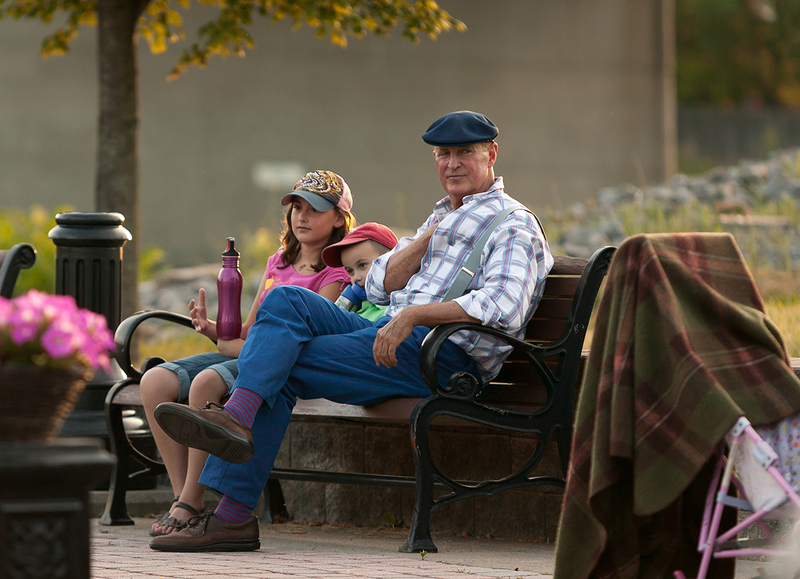 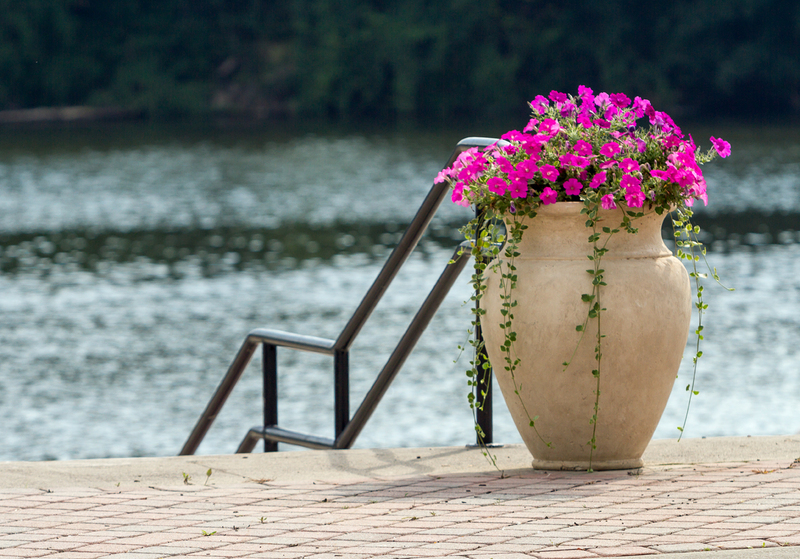 Amsterdam, New York has a beautiful asset on the Mohawk River in the form of Riverlink Park. 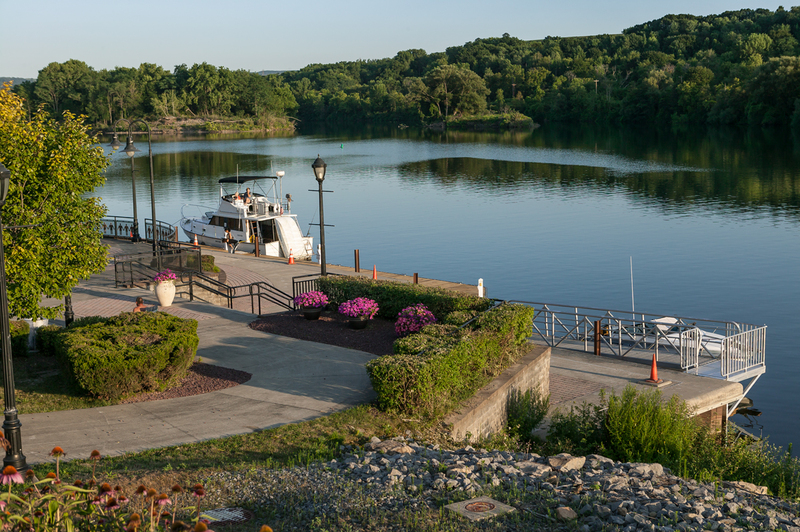 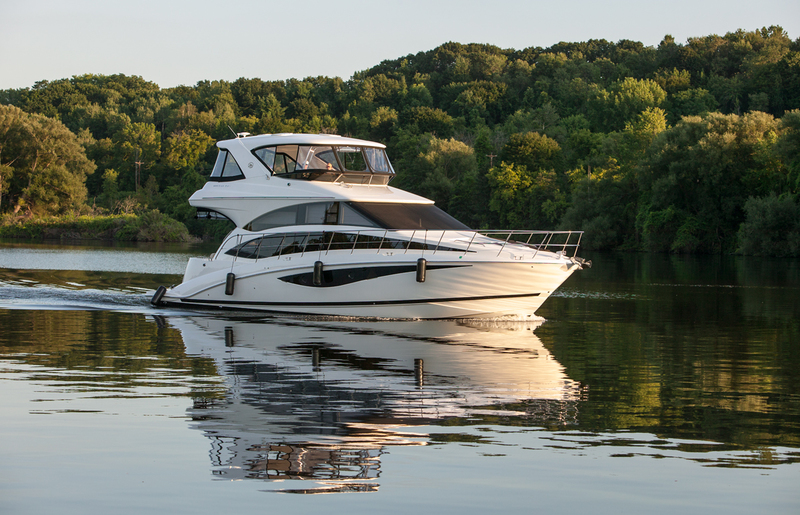 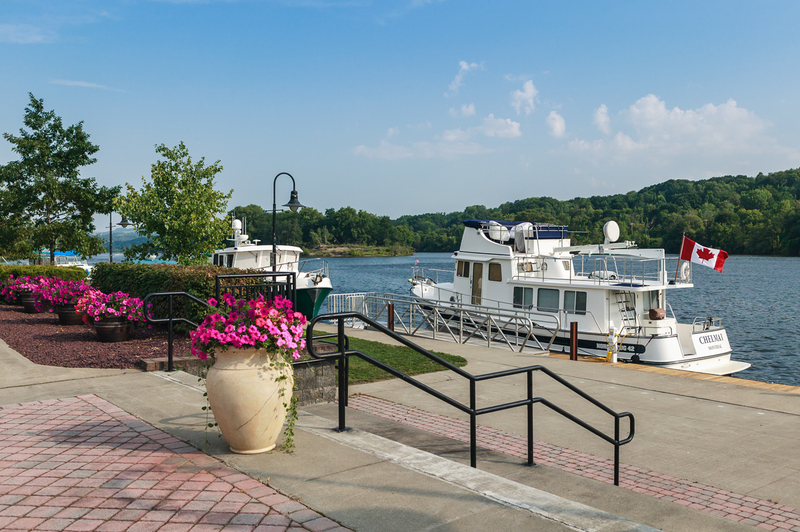 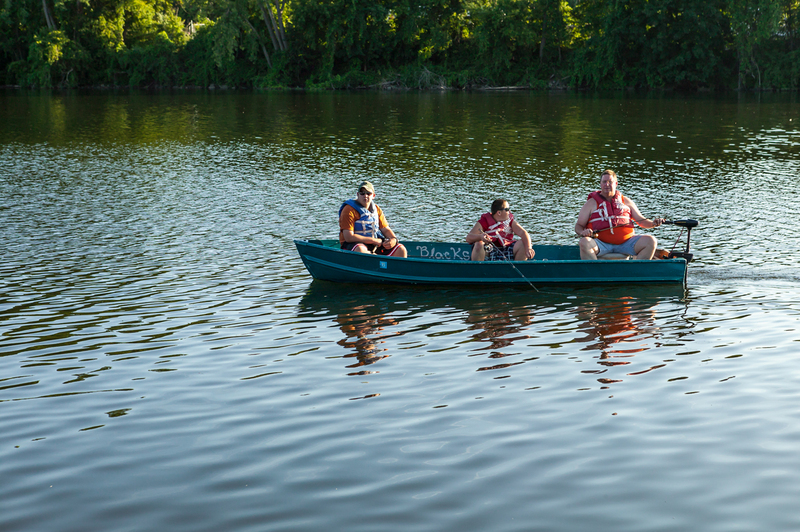 Called the best boat docking site on the Mohawk River, it offers such amenities as a restaurant, electric hook ups, pump out station, laundry and showers for boaters. 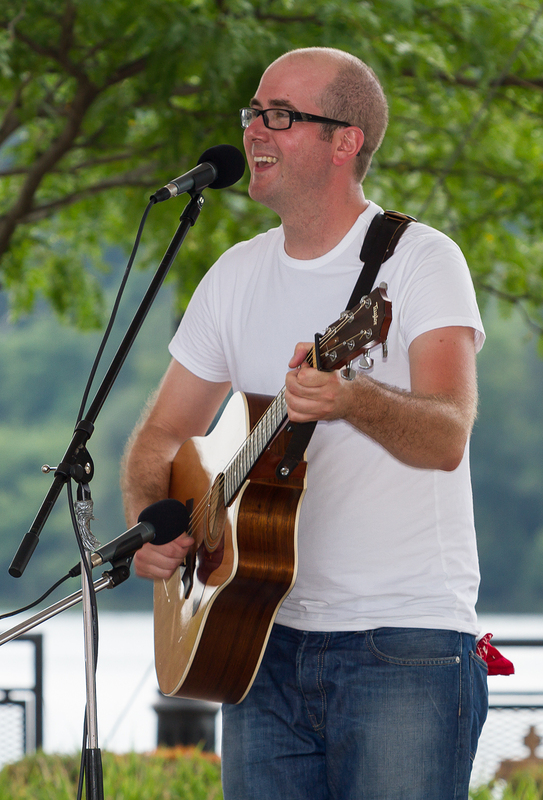 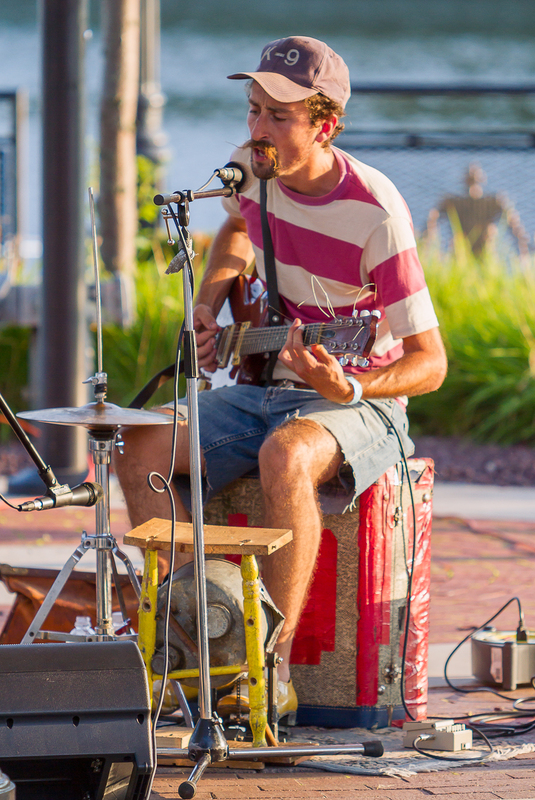 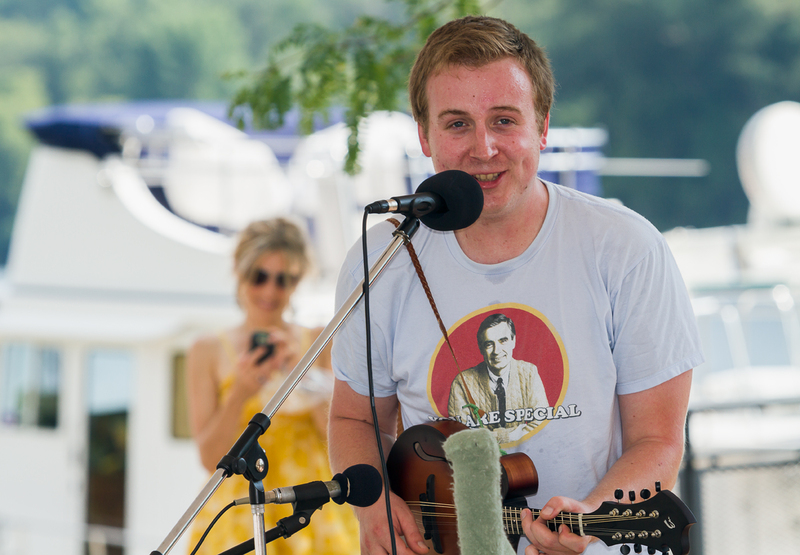 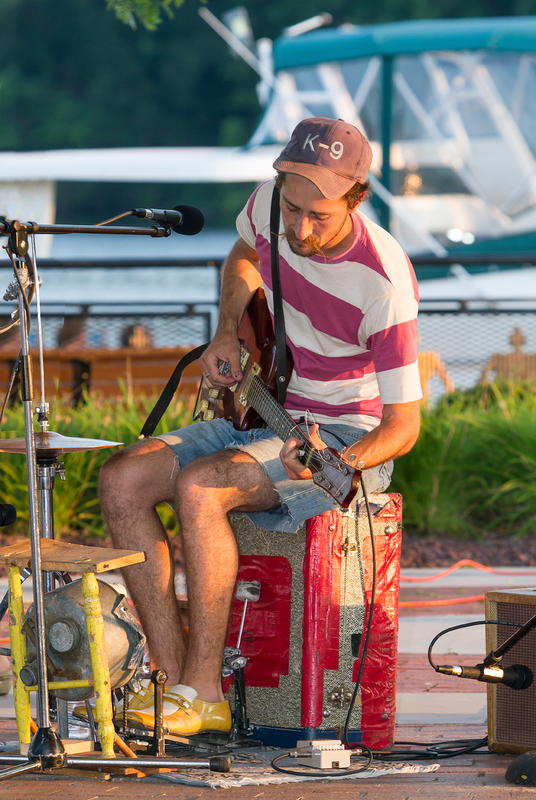 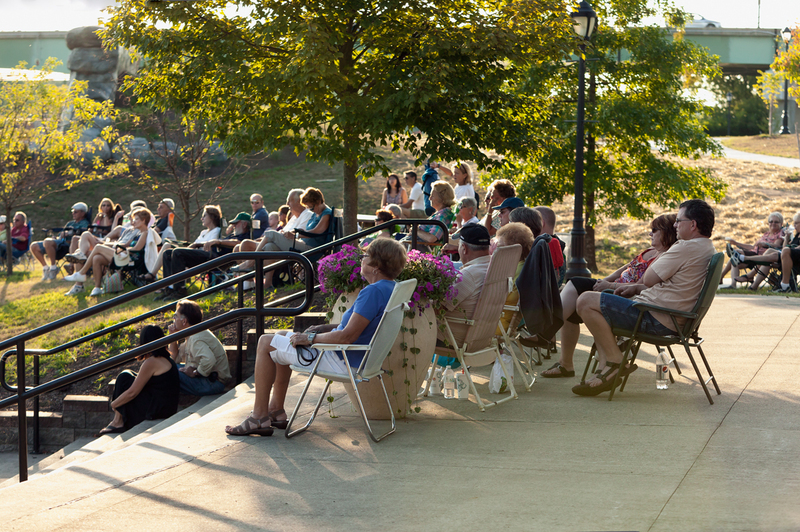 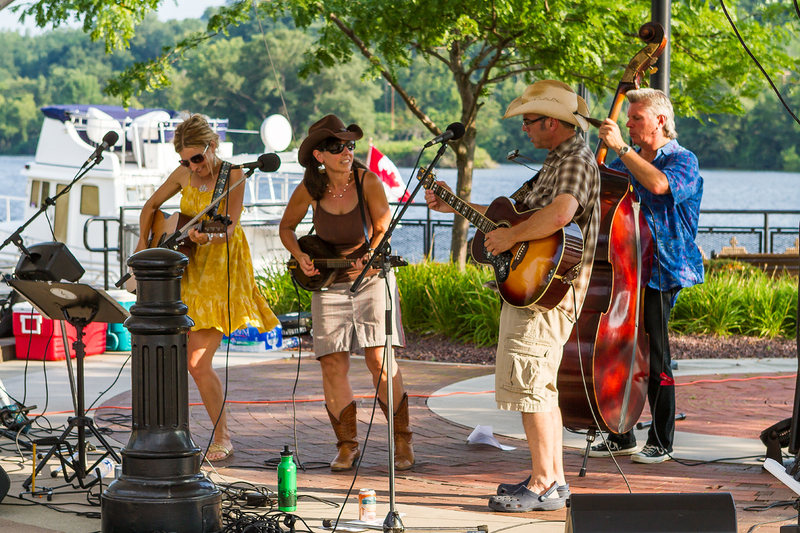 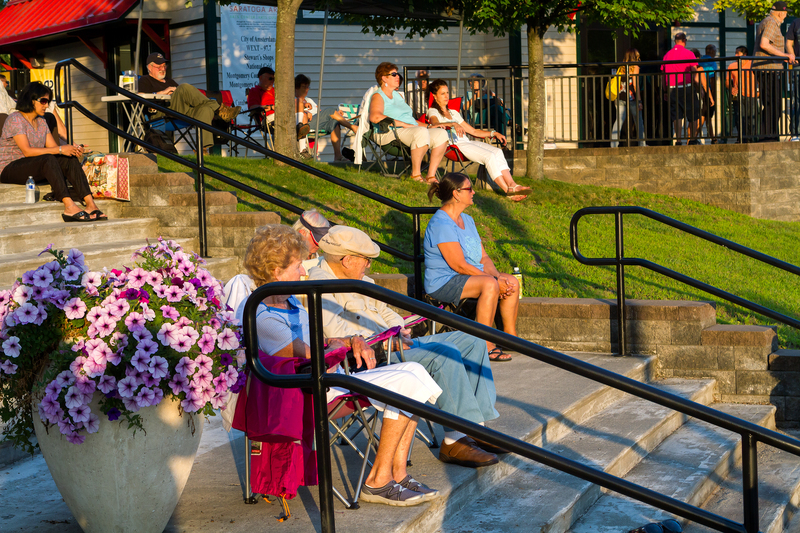 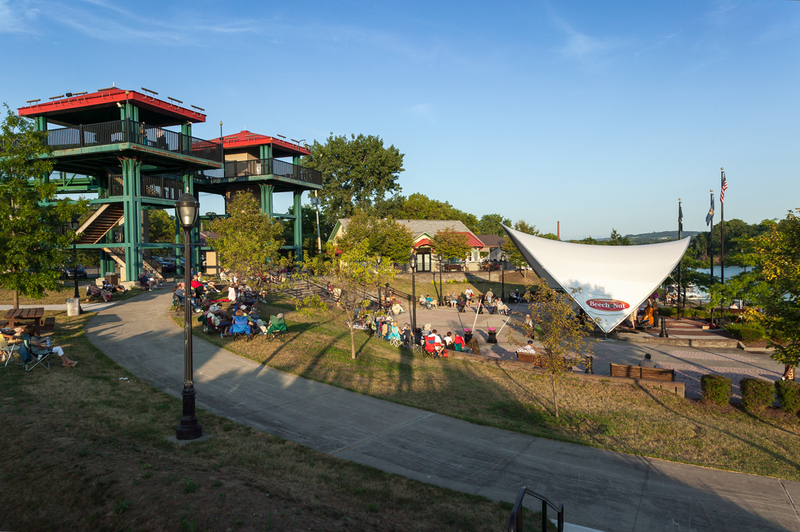 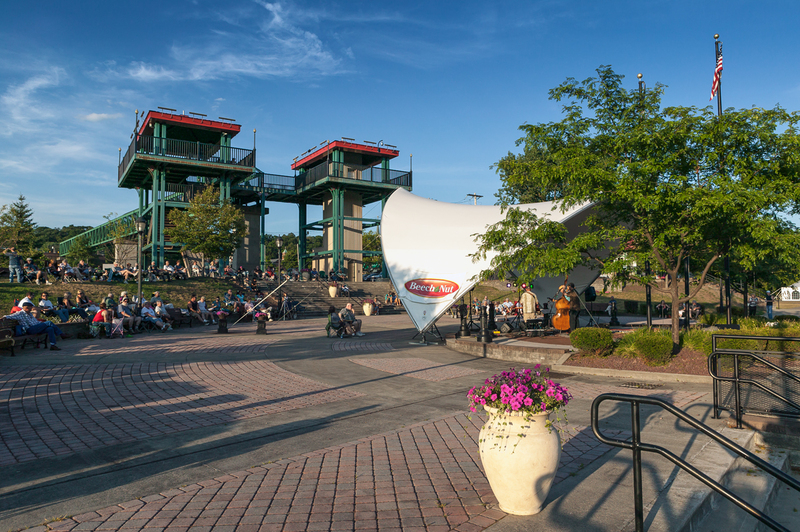 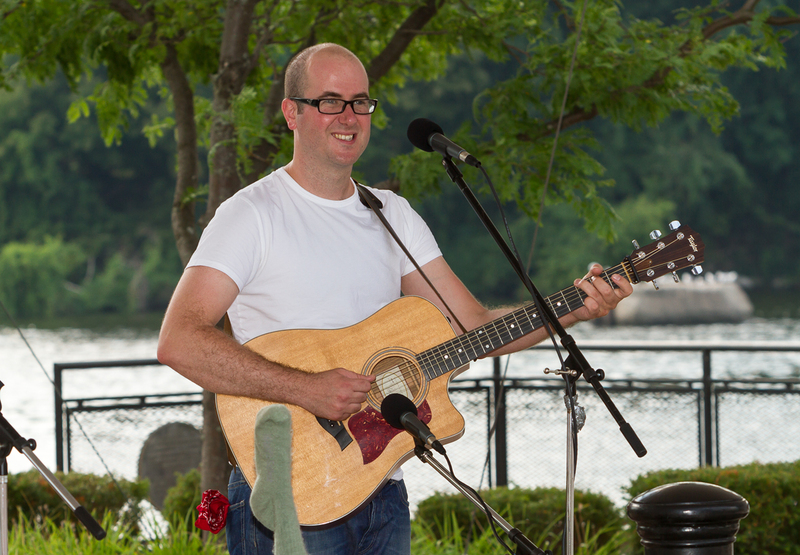 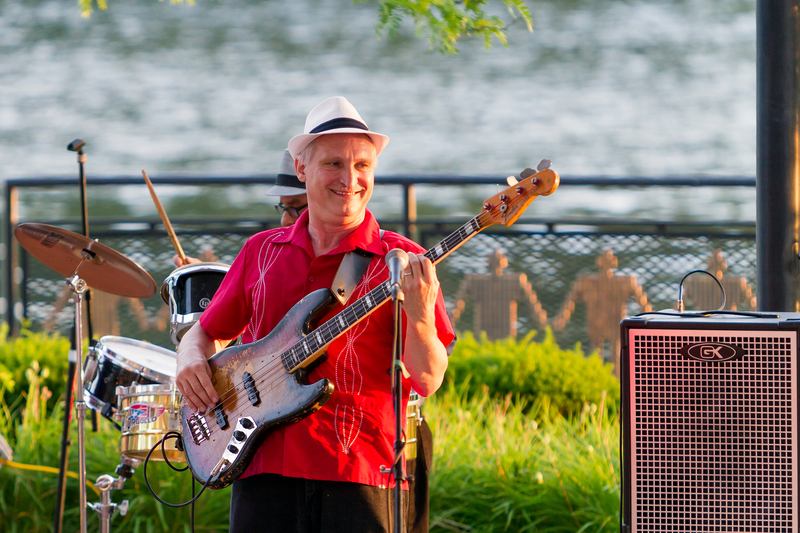 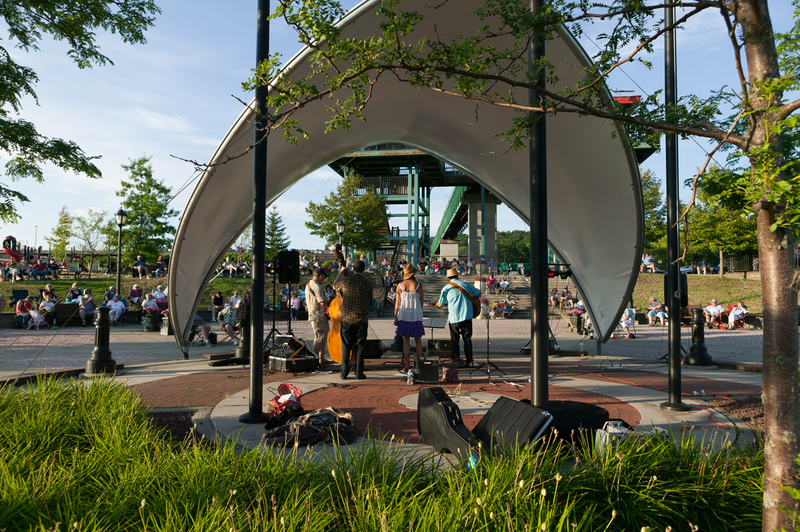 One of the best features is the Riverlink Park Concert Series organized by the Amsterdam Waterfront Foundation. 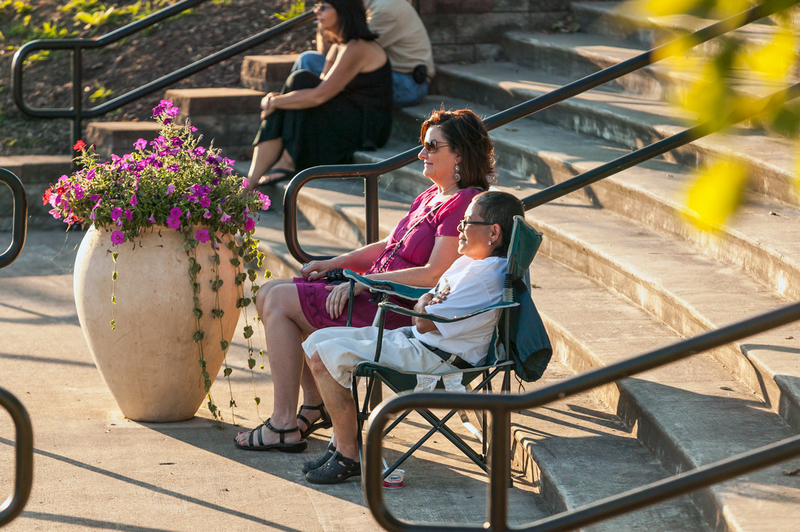 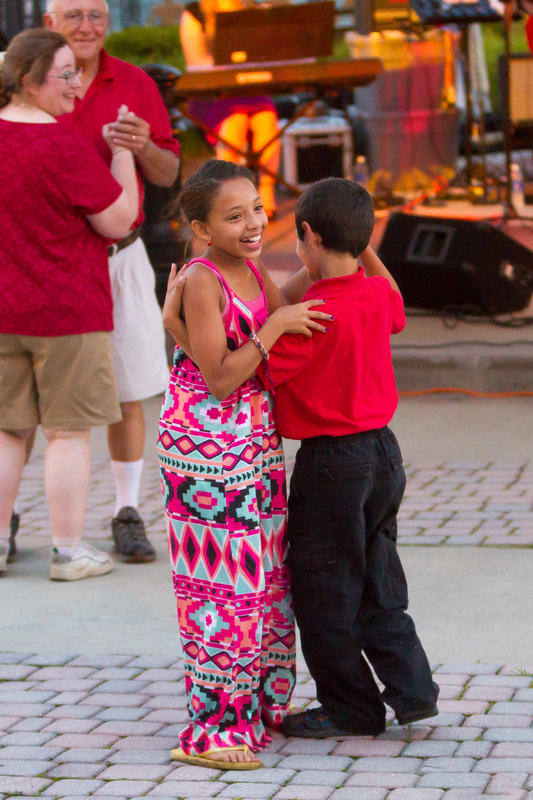 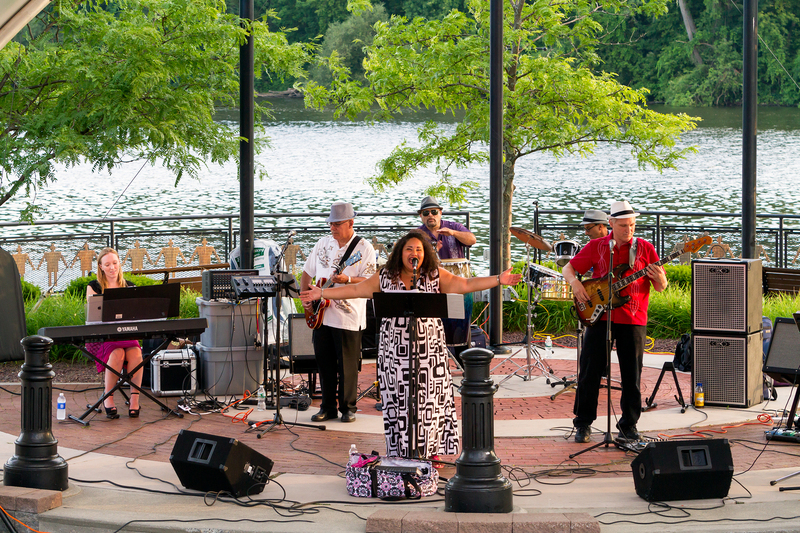 The free concerts originally scheduled for Saturday evenings during the months of July and August, have expanded to June and September adding more concerts and events down by the riverside. 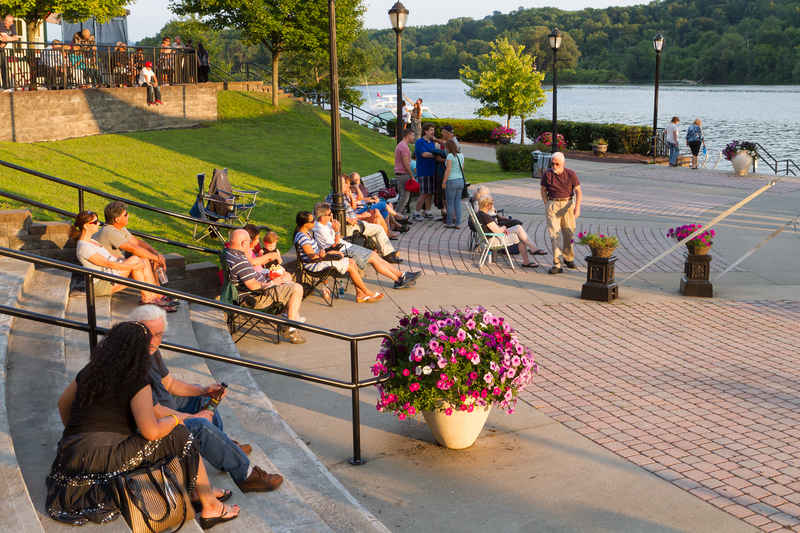 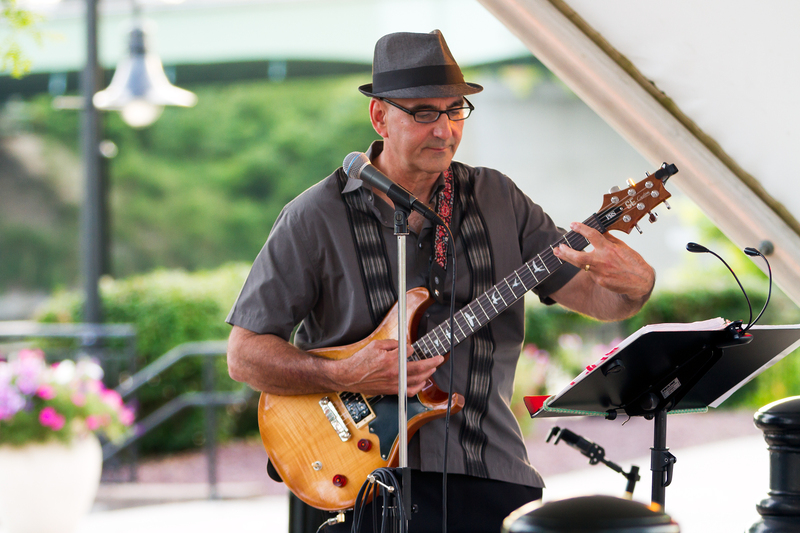 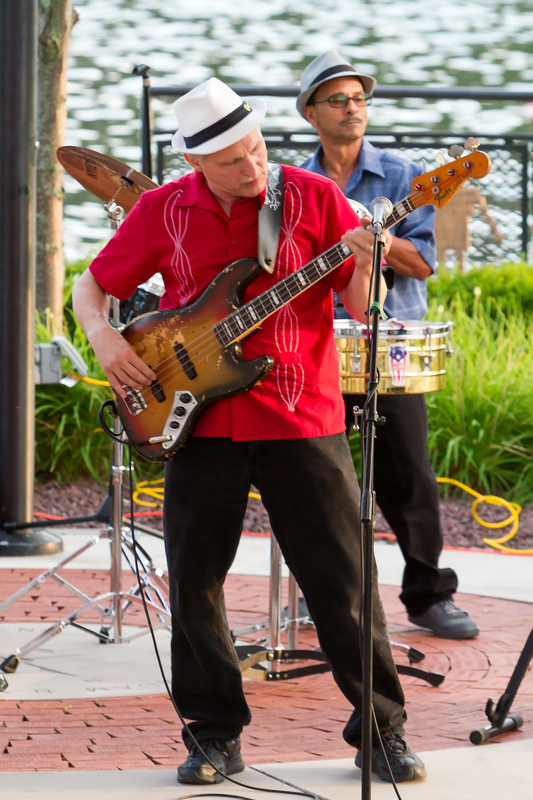 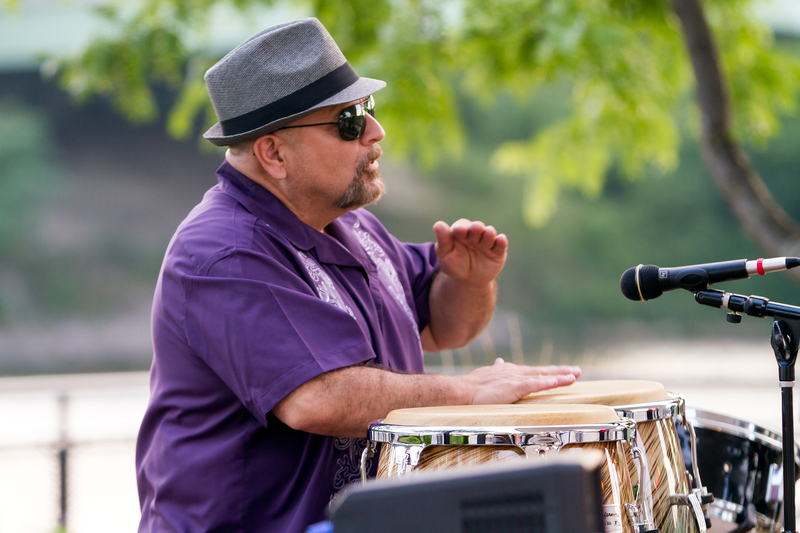 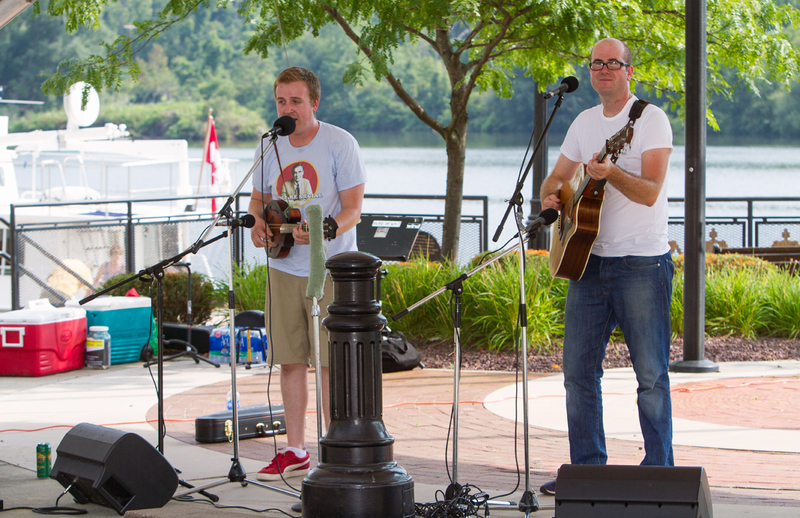 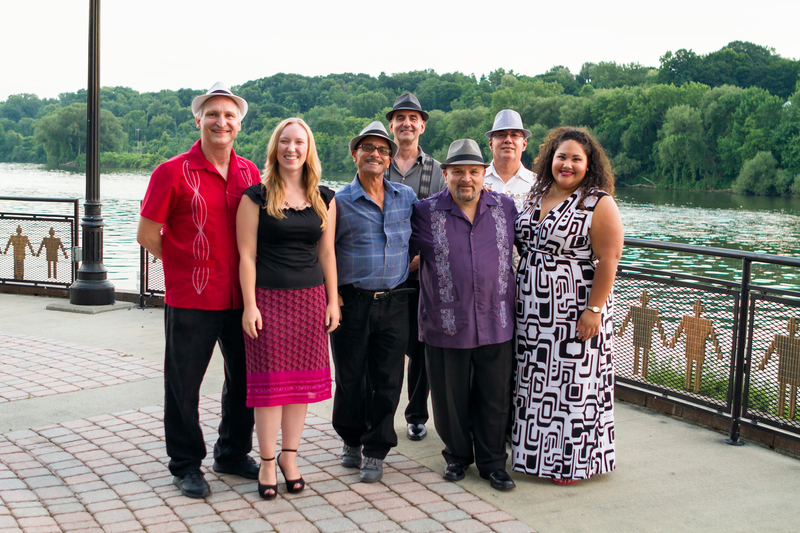 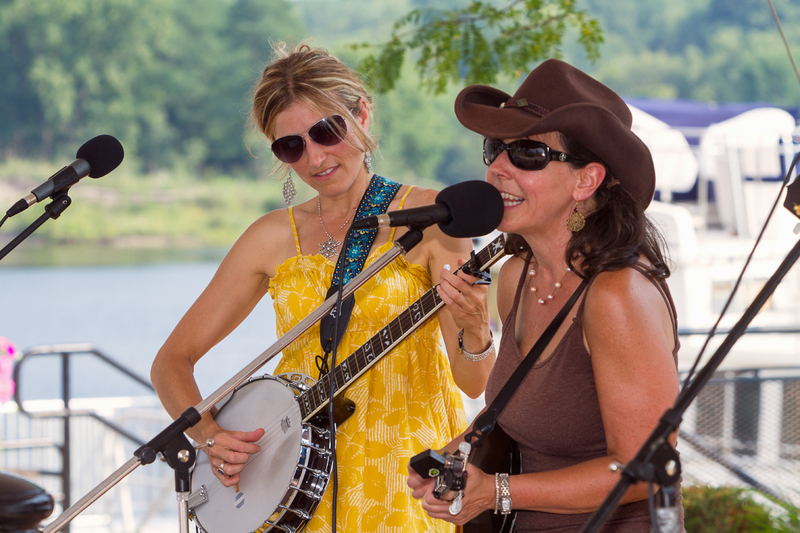 For a schedule of activities please visit the Riverlink Concerts website. 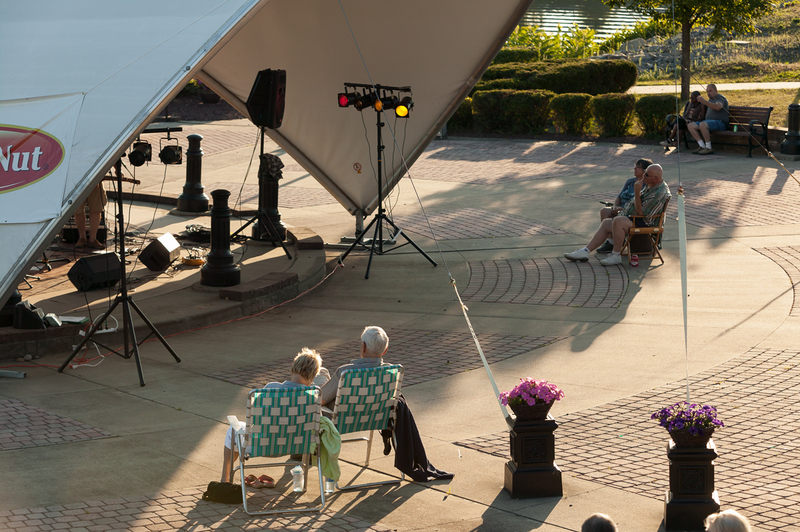 While you’re there, please donate to help the Amsterdam Waterfront Foundation to continue to present these wonderful concerts for the public to enjoy. 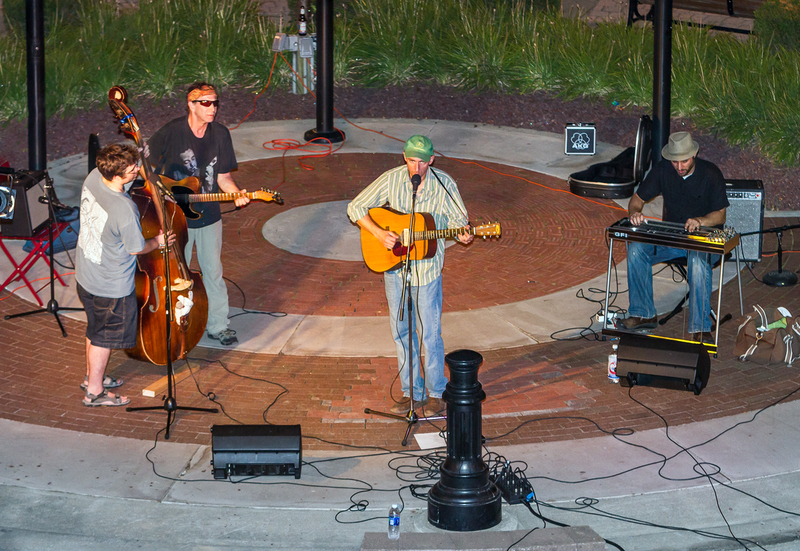 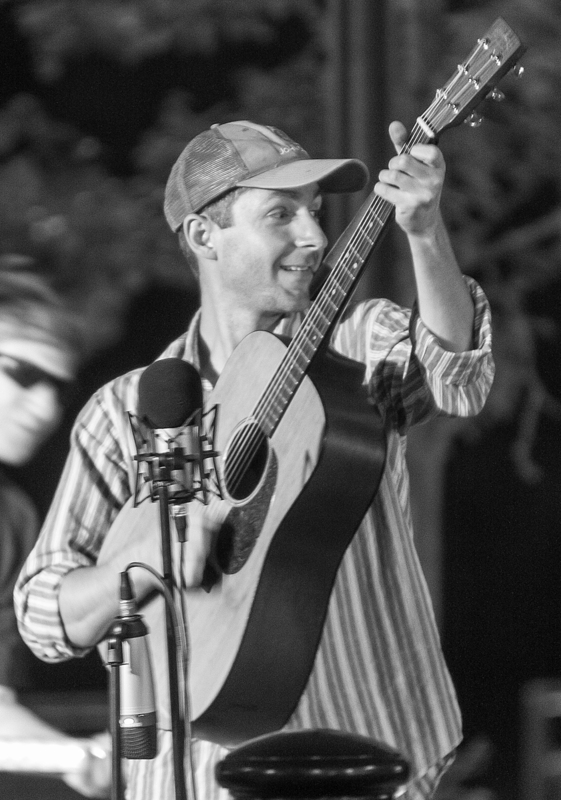 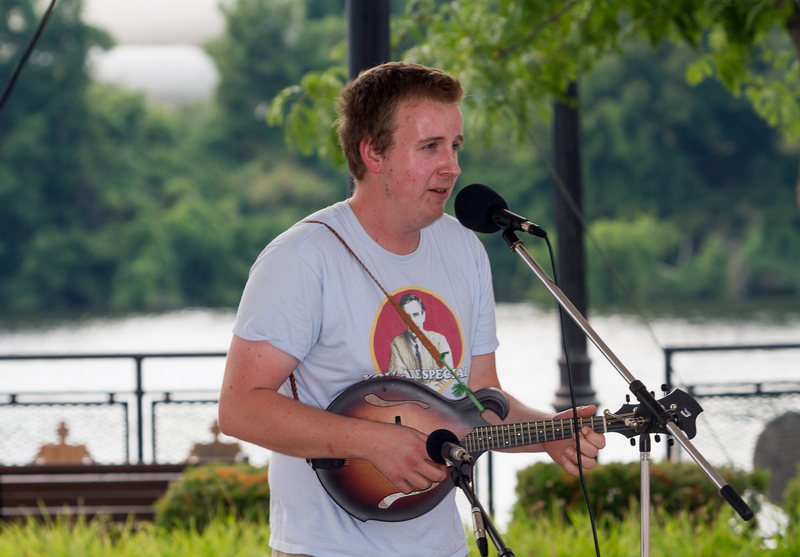 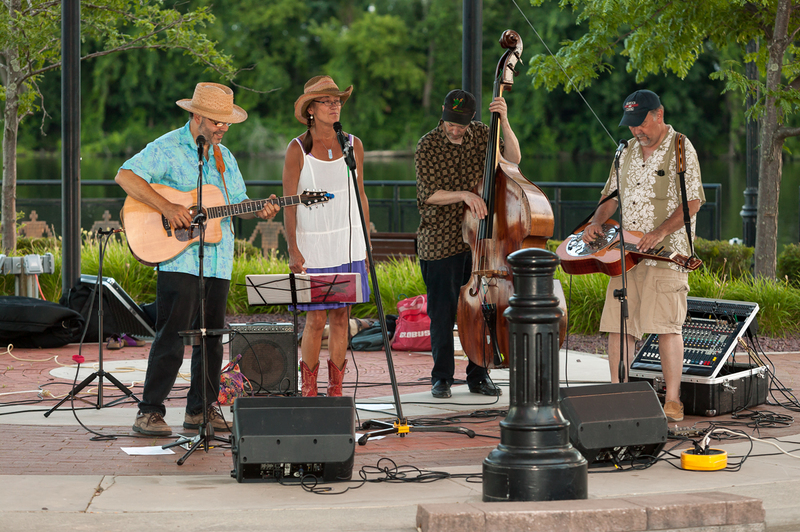 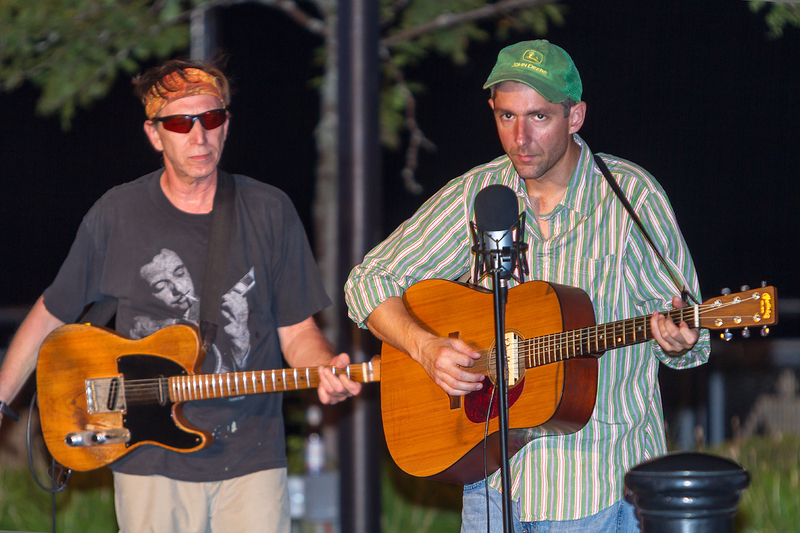 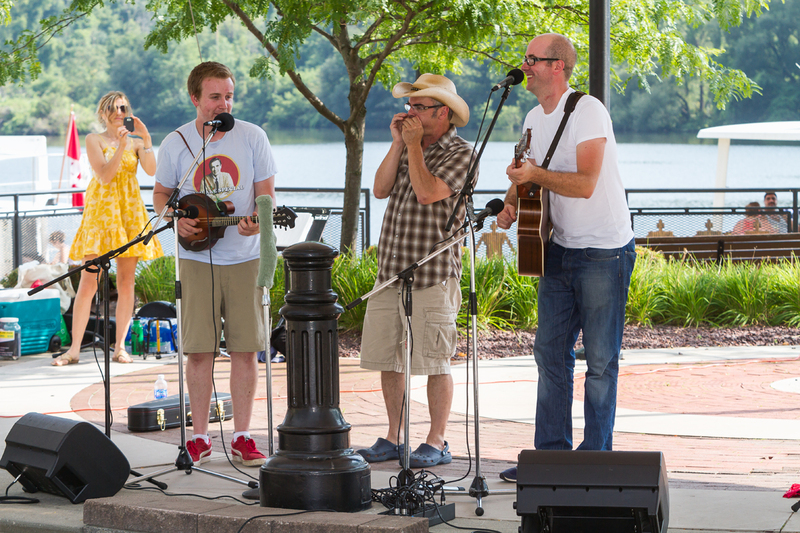 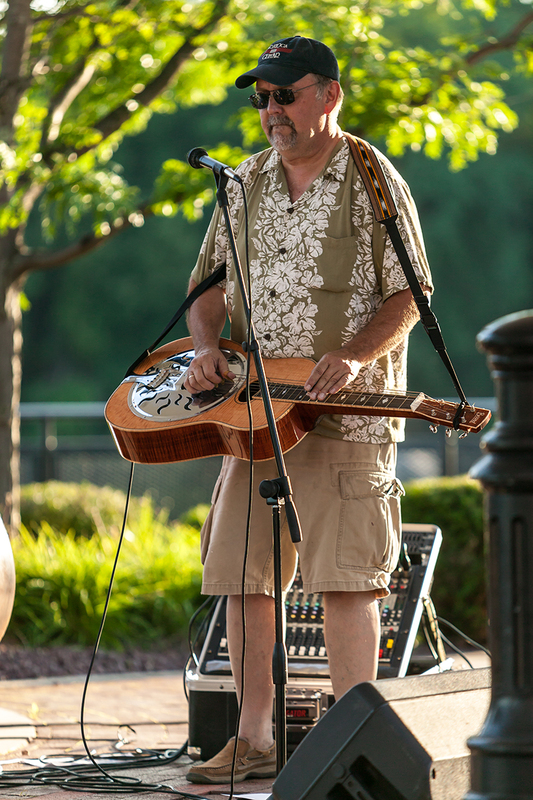 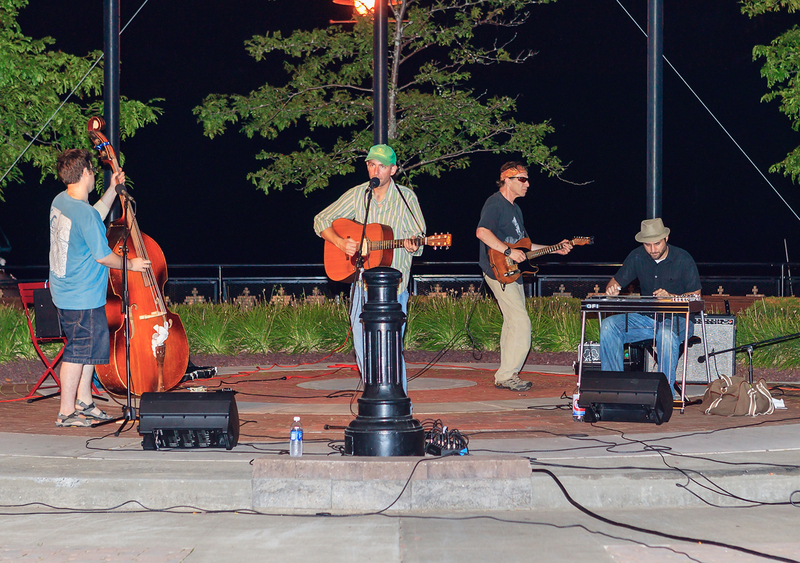 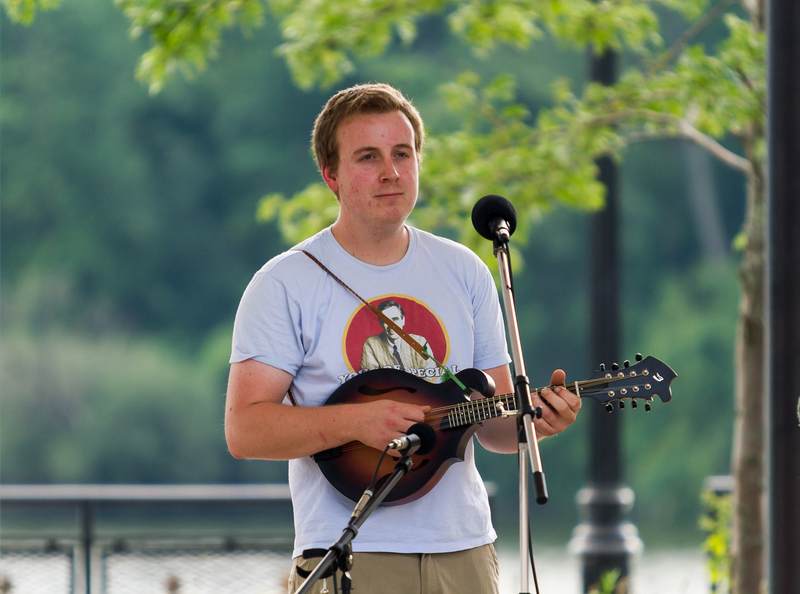 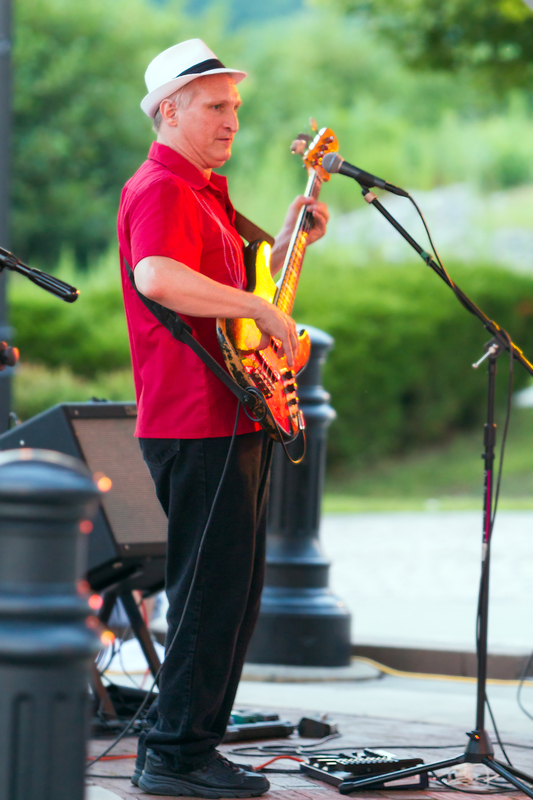 Skeeter Creek, voted the best county artists in the Capital Region, played last evening. 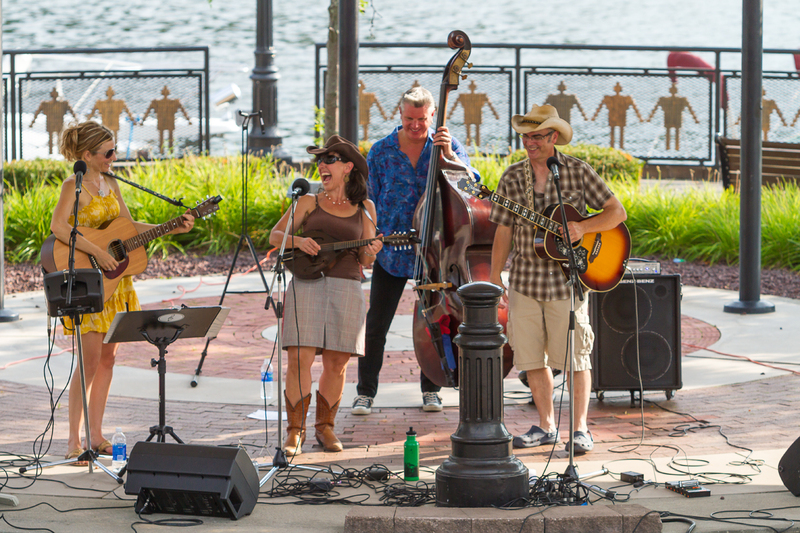 Four acts with over six hours of continual entertainment, presented free of charge by the Amsterdam Waterfront Foundation and its corporate sponsors. 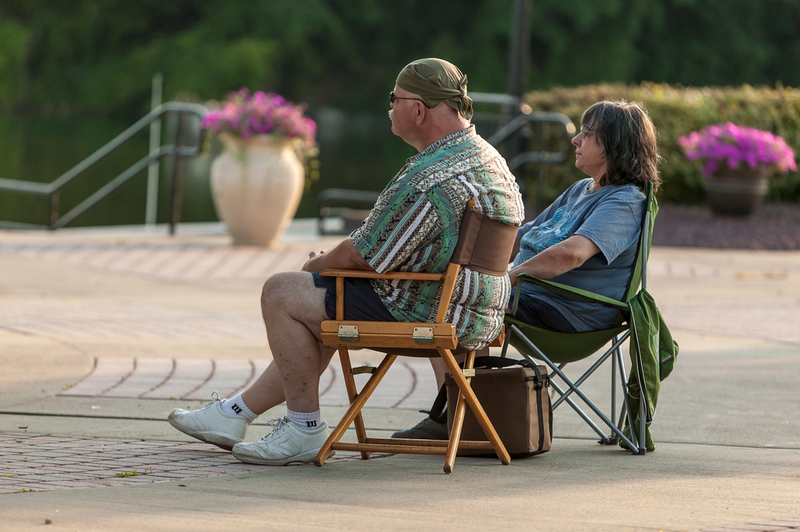 It was another steamy Saturday afternoon with rain looming on the horizon. 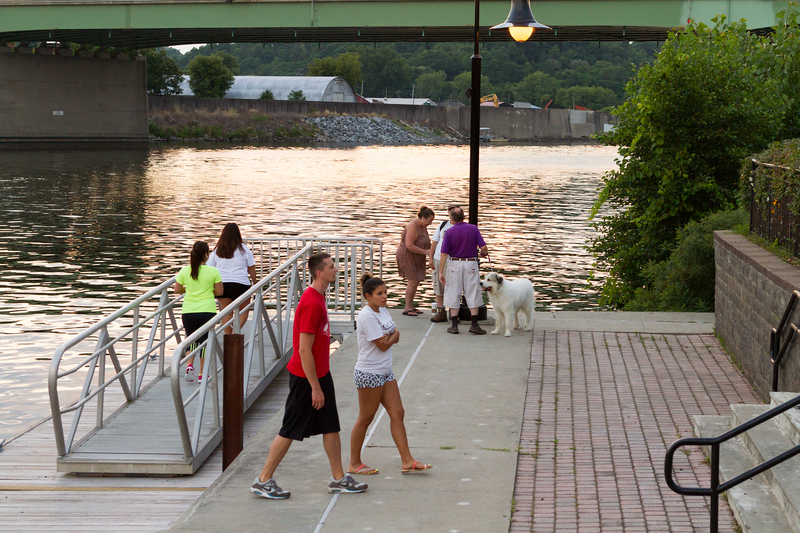 Luckily, the rain held off and breezes off the Mohawk River helped move the cloud cover. 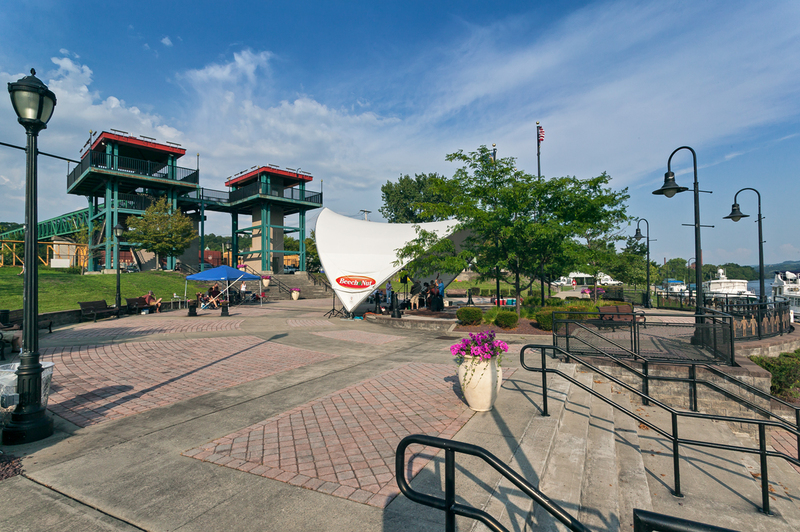 The clouds were actually shielding us from the scorching sun, now very present with little shade. 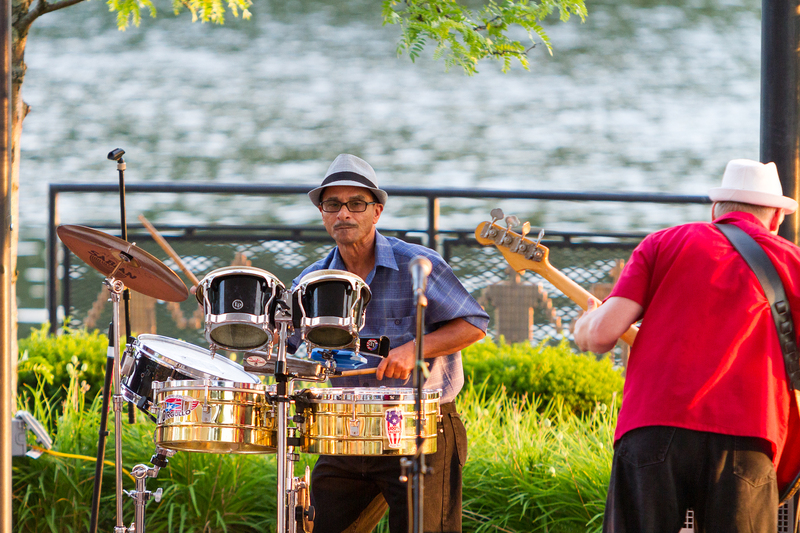 It was hot and so were some of the groups performing at Amsterdam’s Riverlink Park. 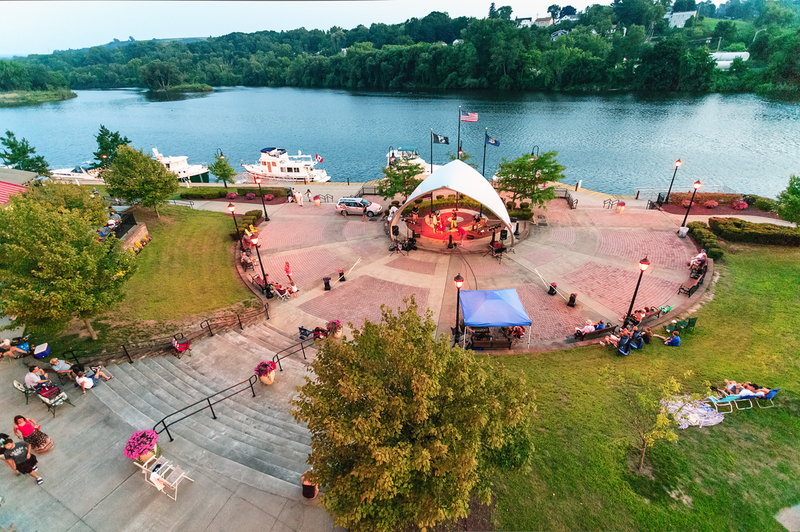 The docks were full of boats, the Riverlink Café full of diners and the park, unfortunately was not full of people to hear the wonderful music presented. 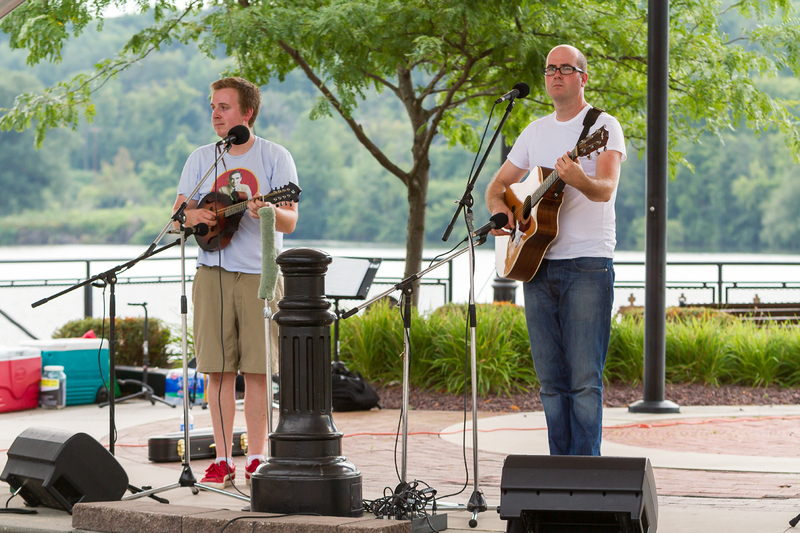 This was the first concert starting at 3pm this year. 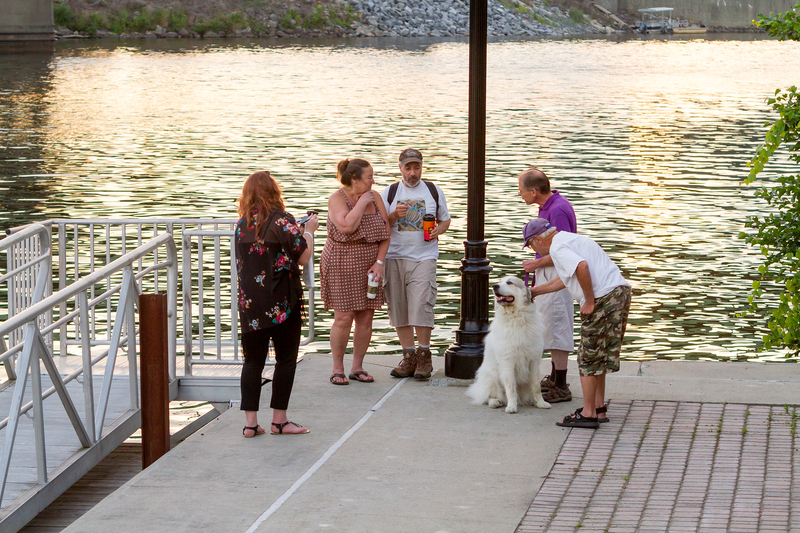 I’m sure many were confused because a good number showed up at the usual 7pm starting time. 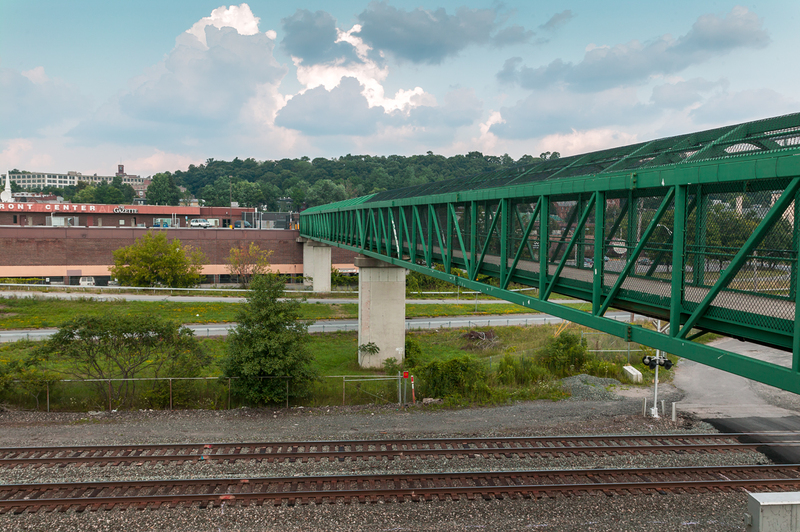 I have many images to share that took me many hours to process. 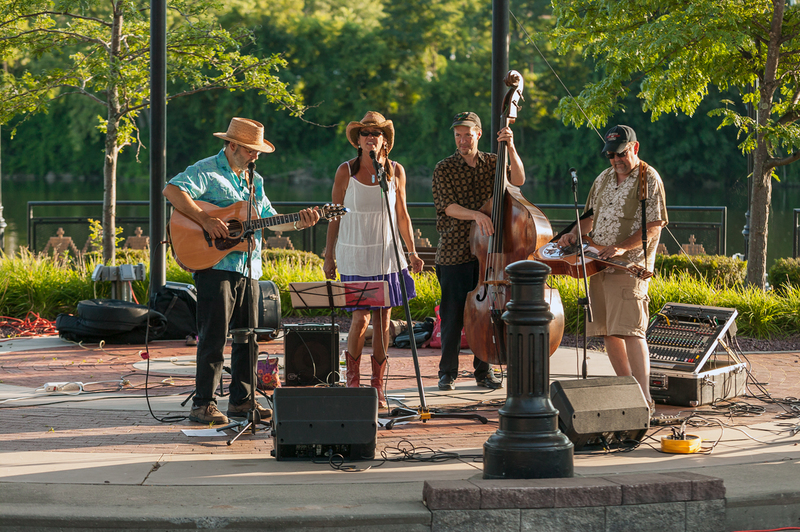 This week Rebecca Webster of the Recorder beat me to the punch, posting both her story and photos of the concert to the online version of the Recorder last night. 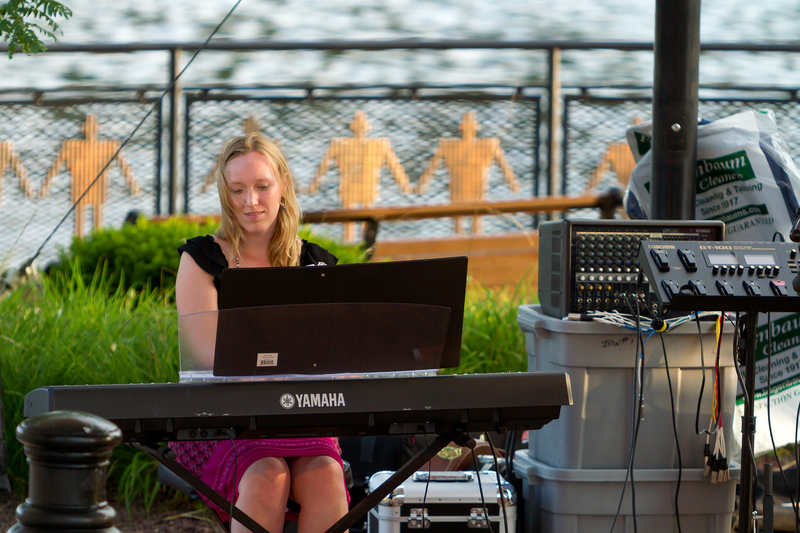 She did an outstanding job. 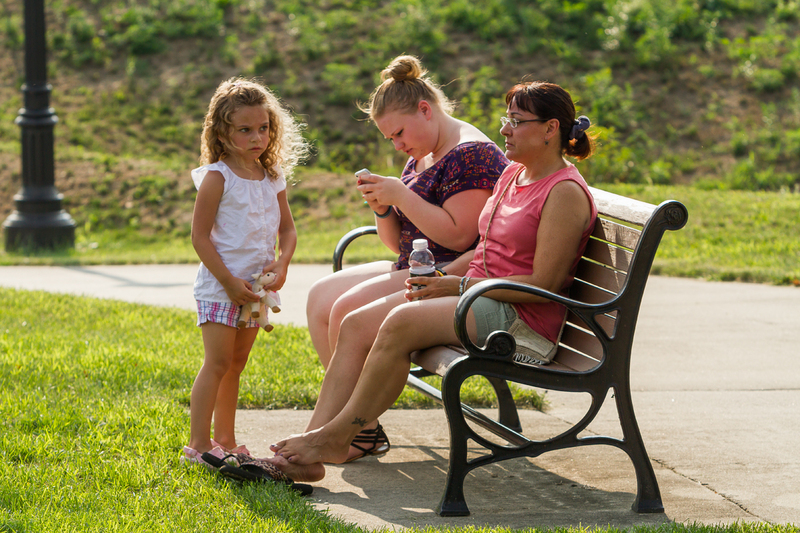 Please check out her article. 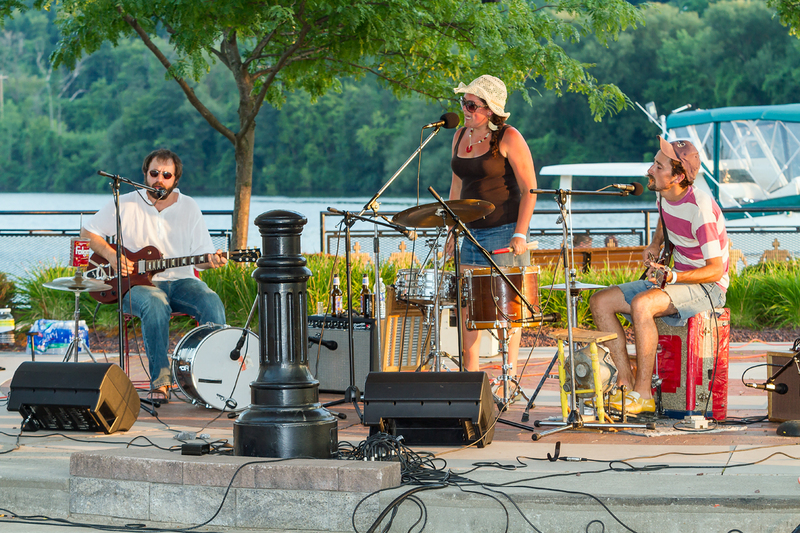 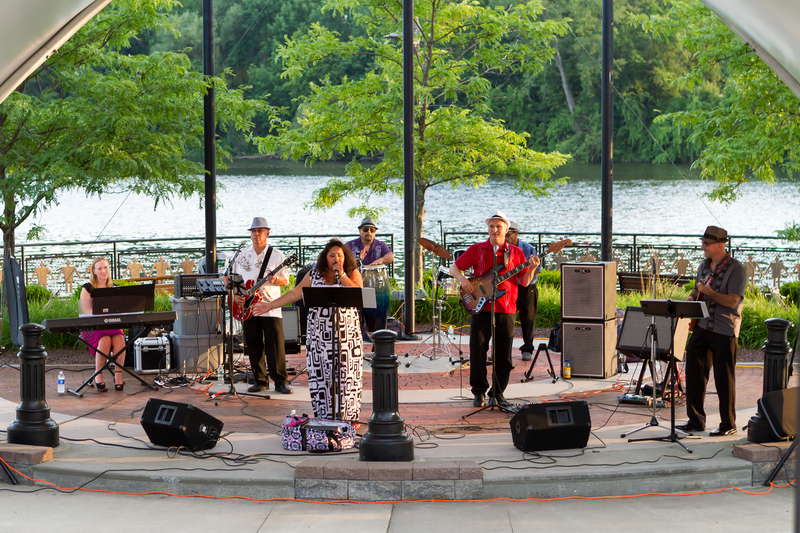 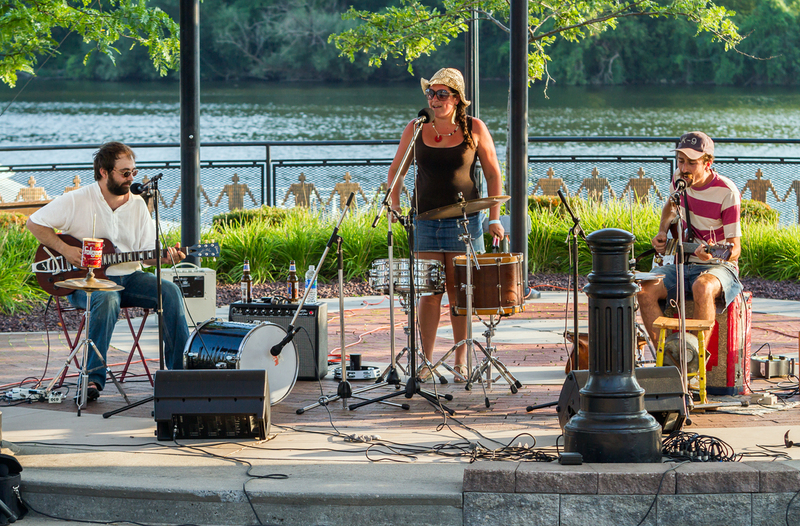 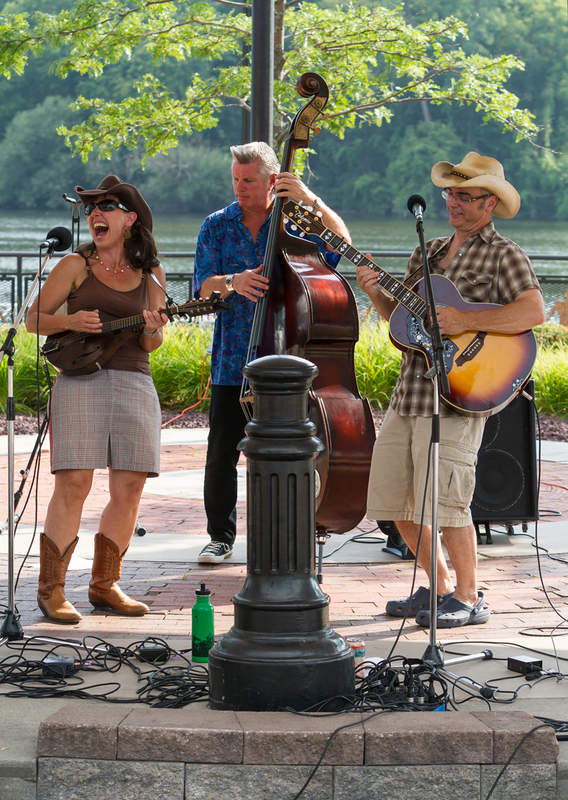 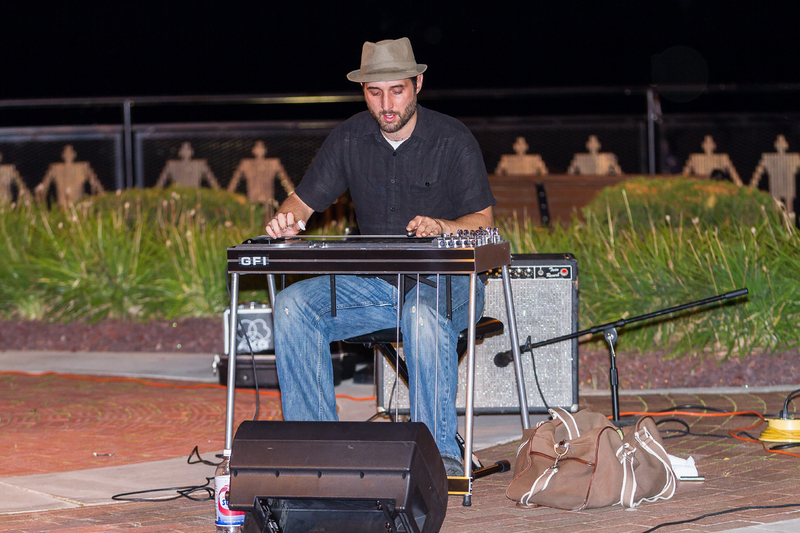 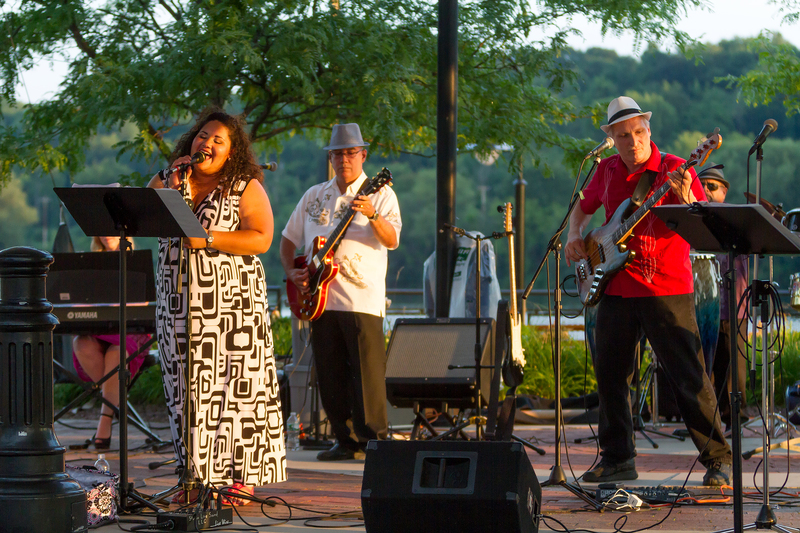 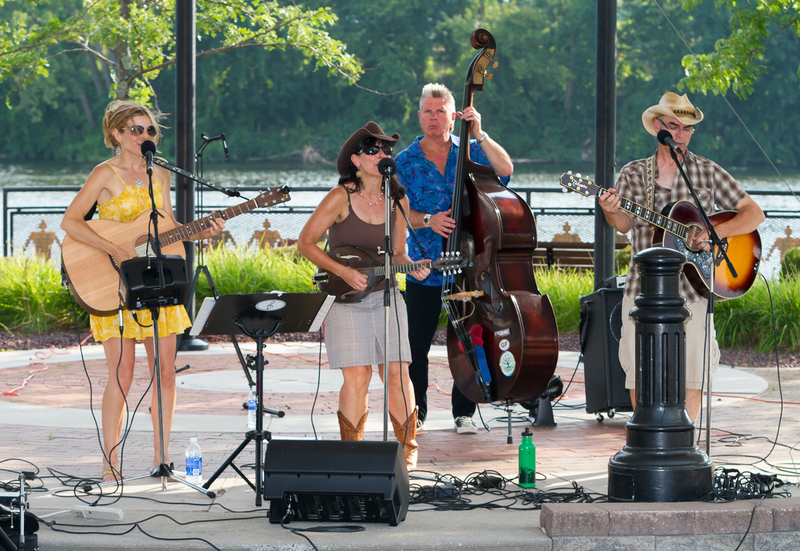 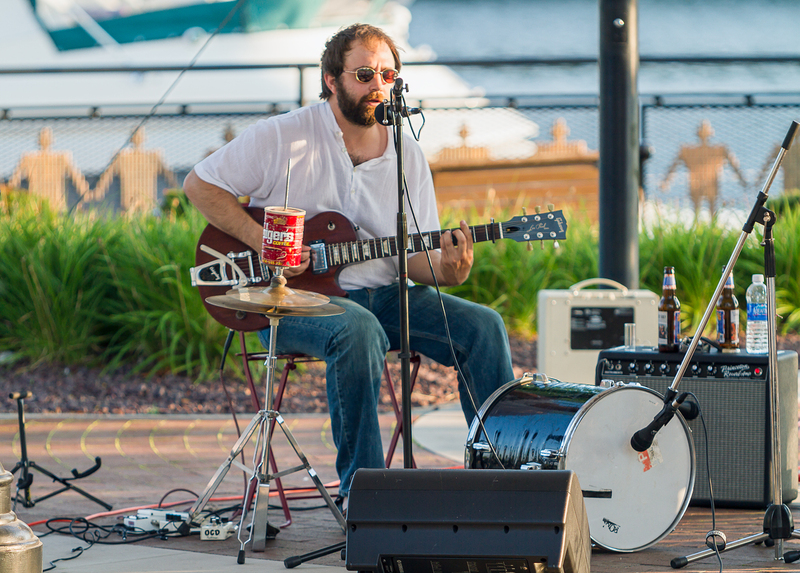 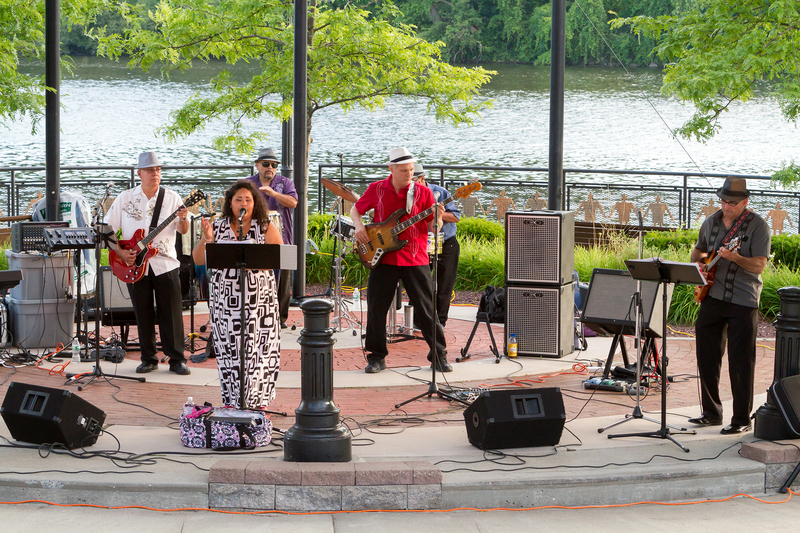 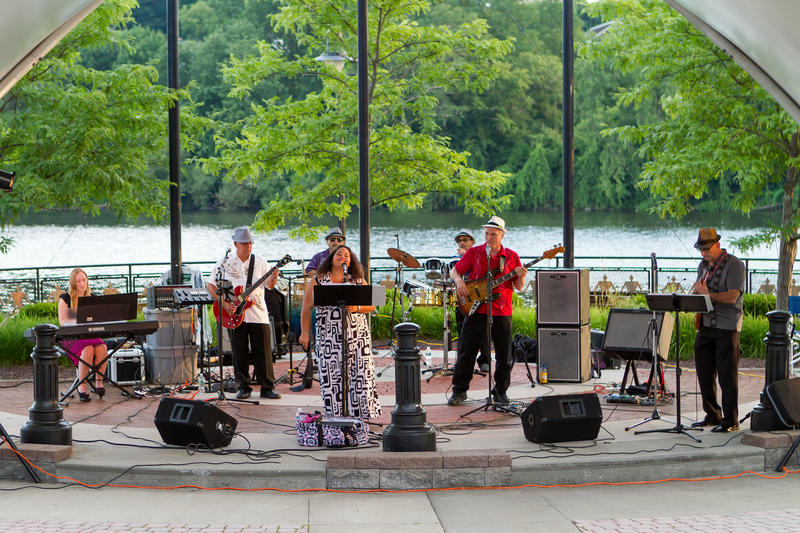 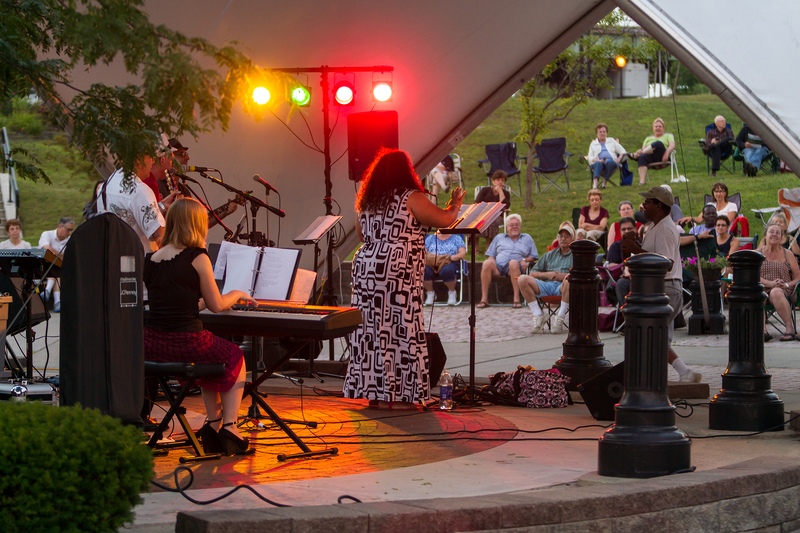 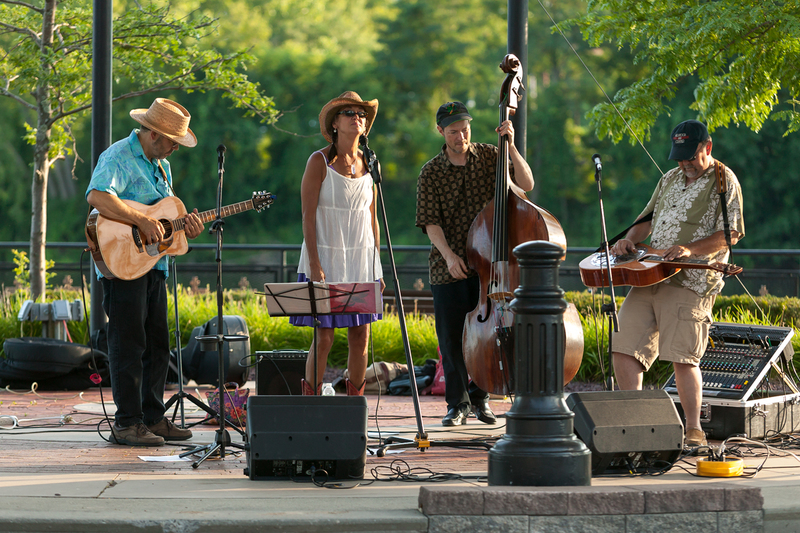 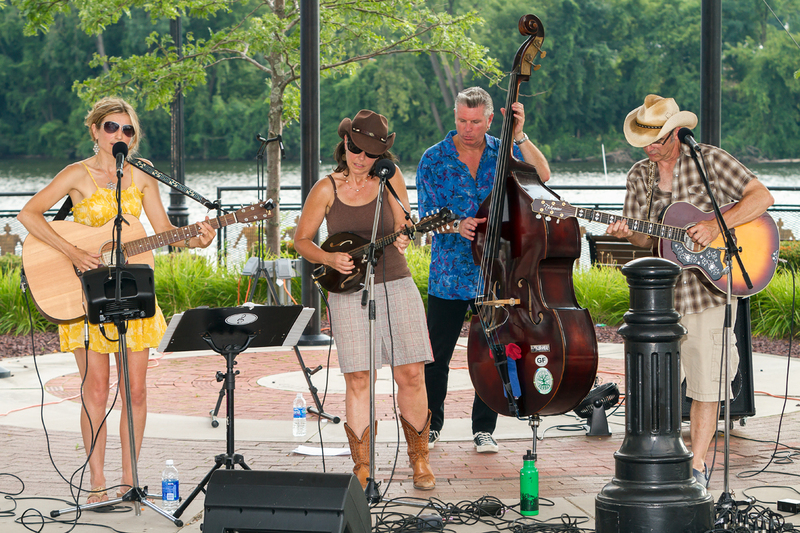 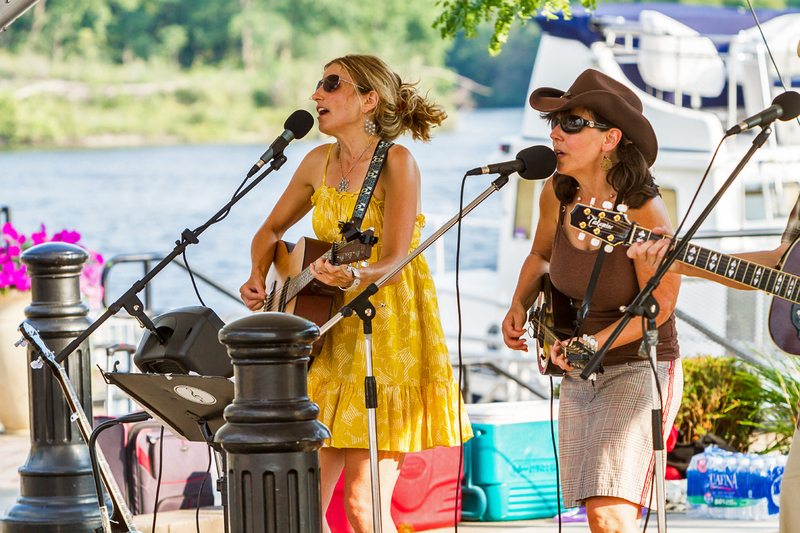 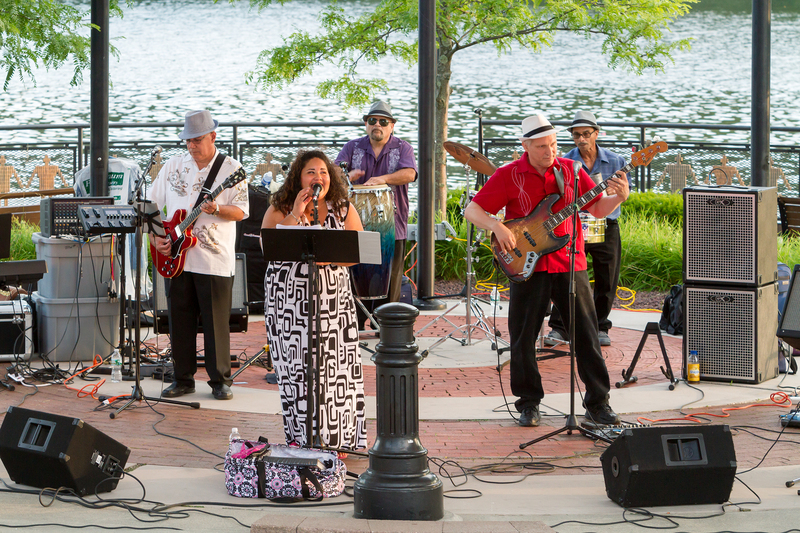 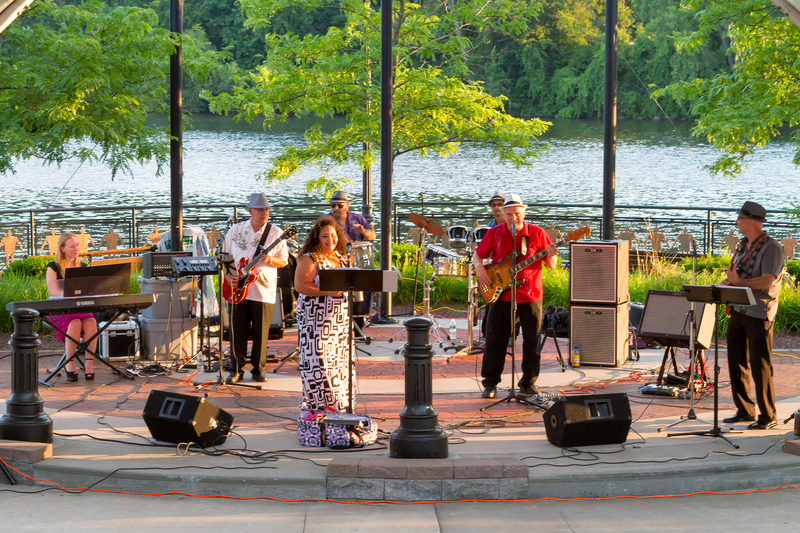 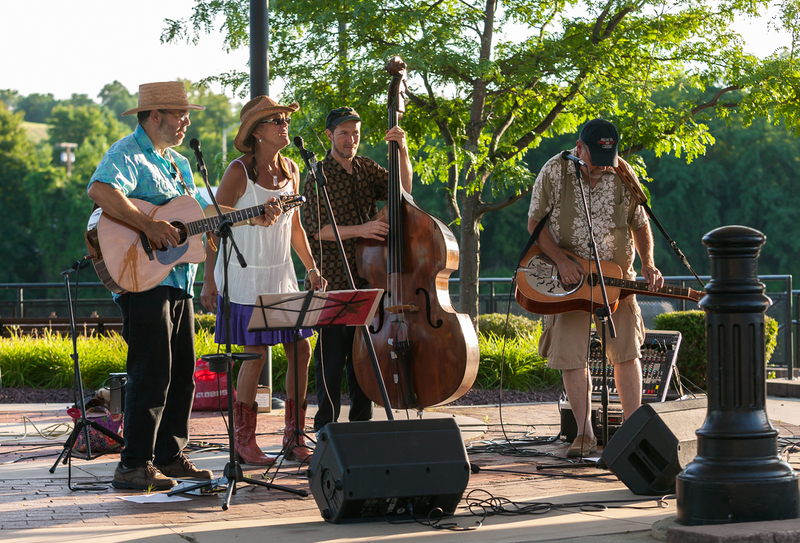 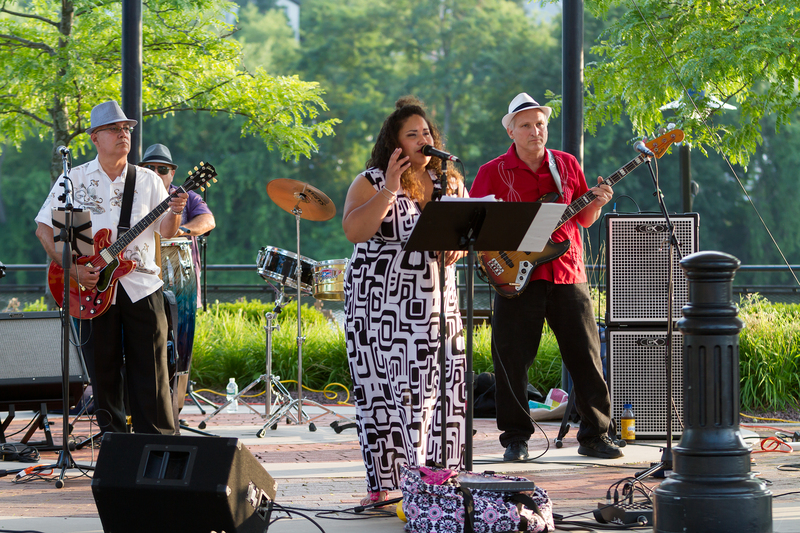 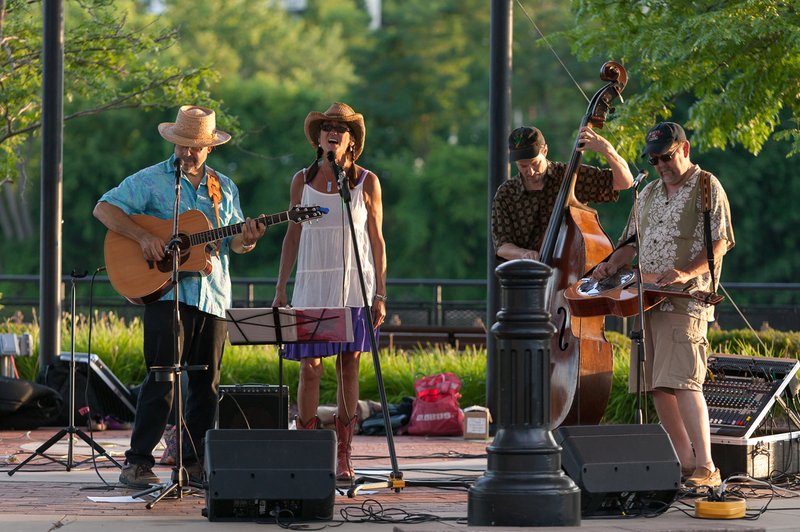 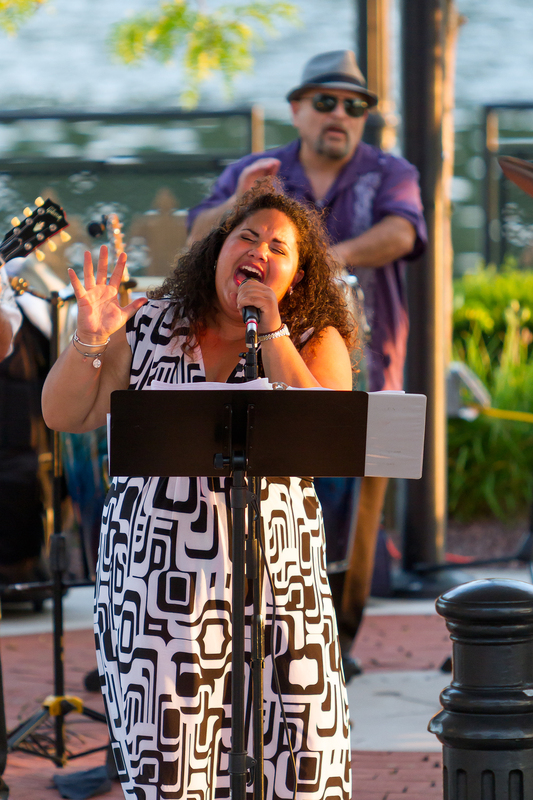 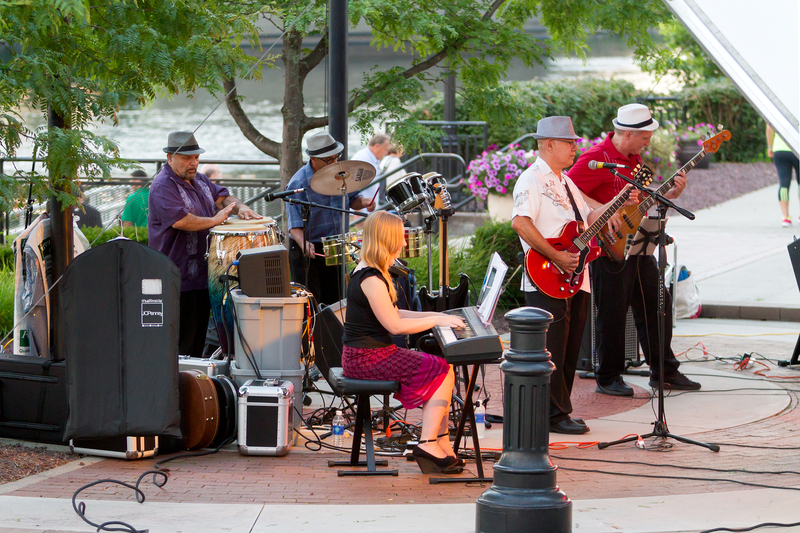 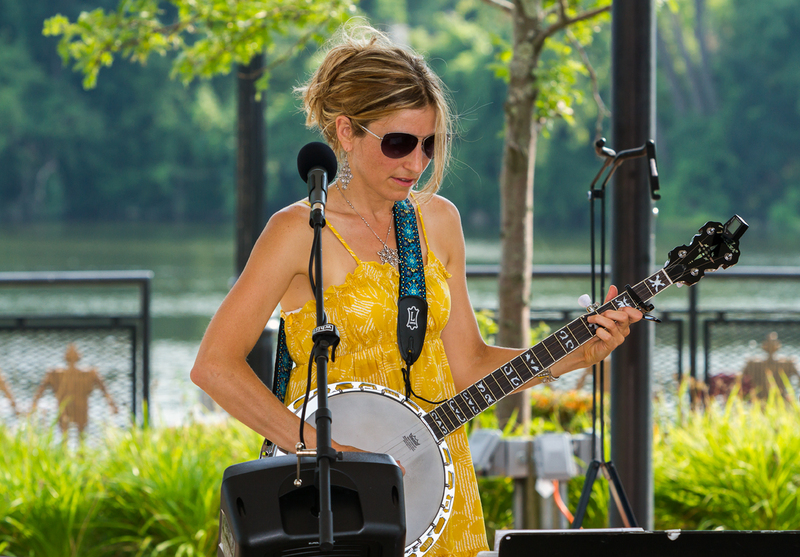 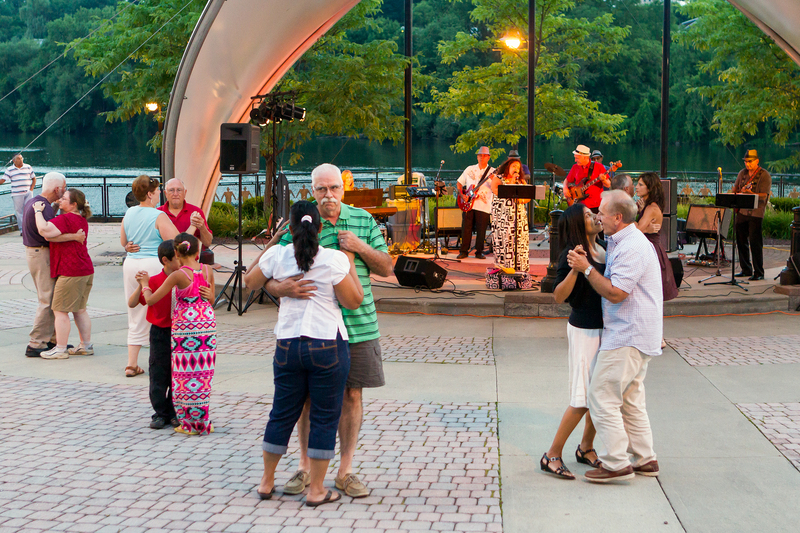 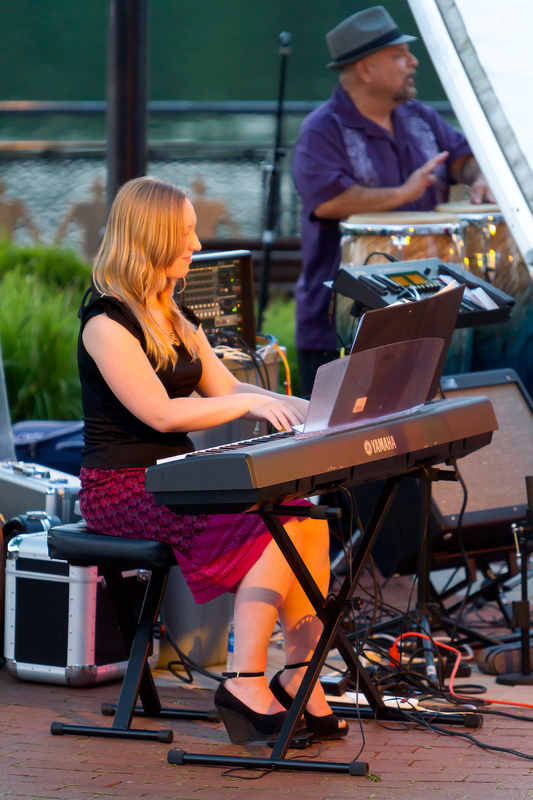 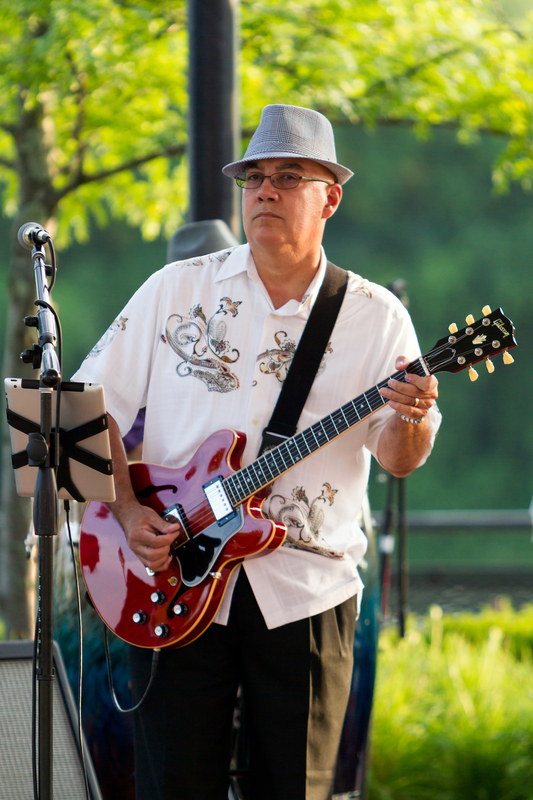 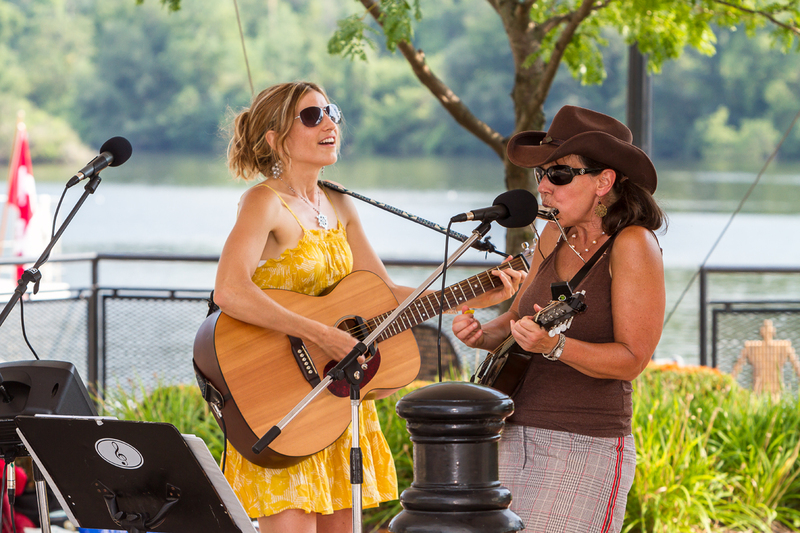 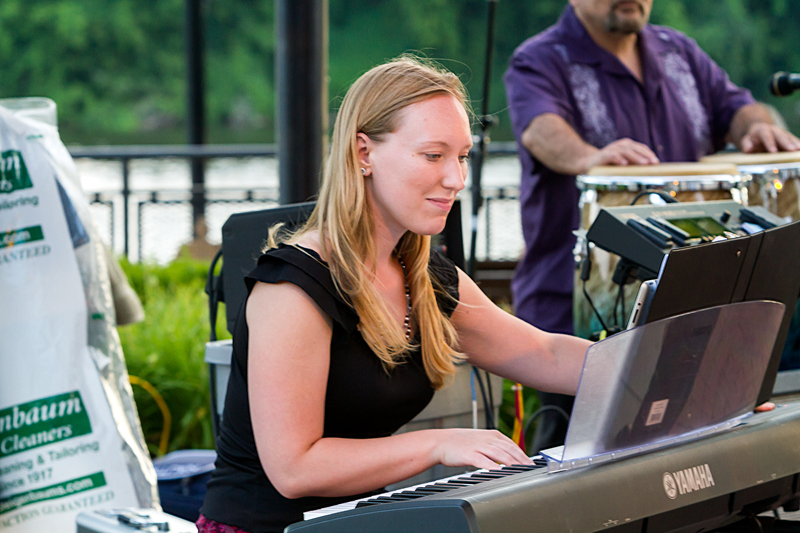 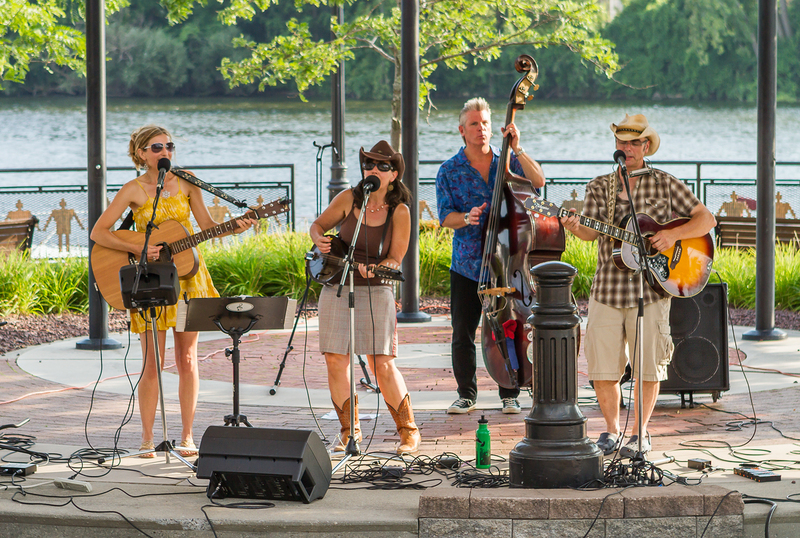 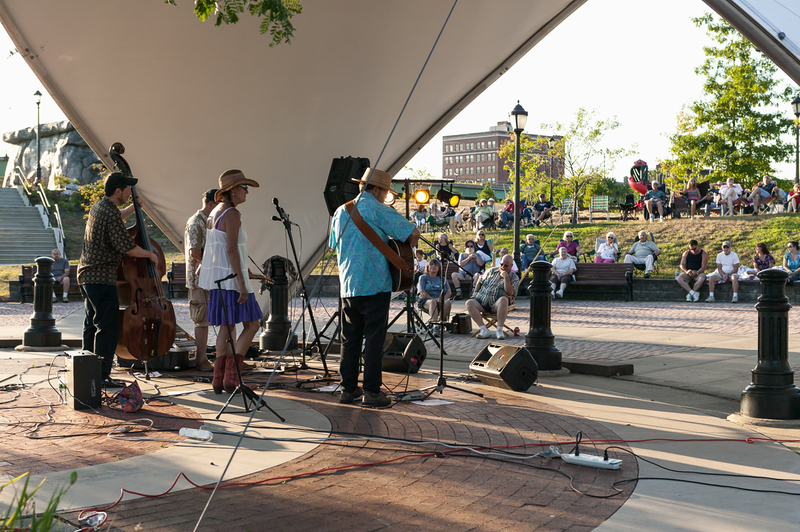 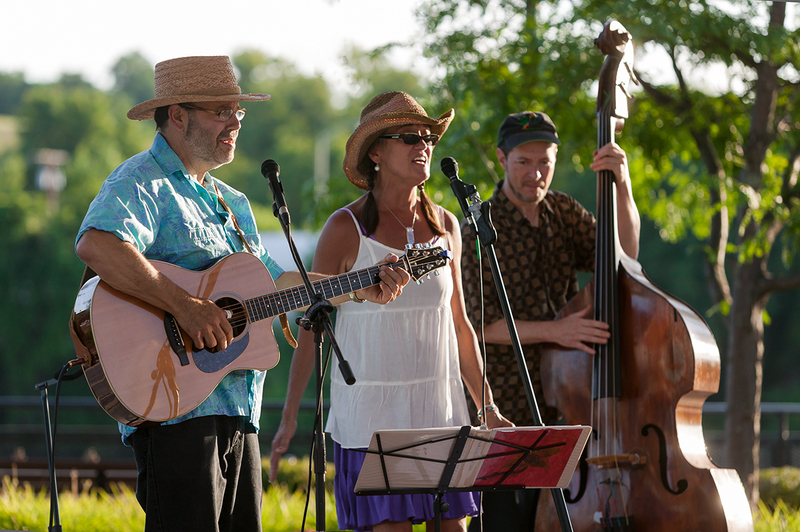 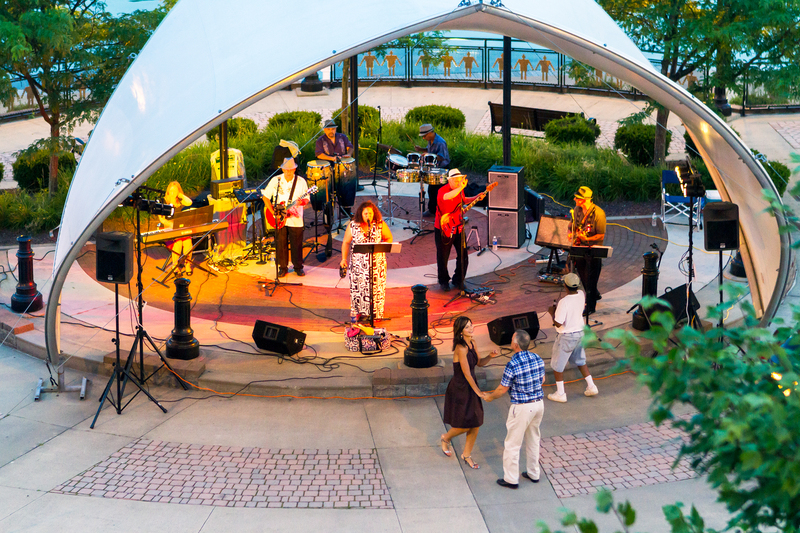 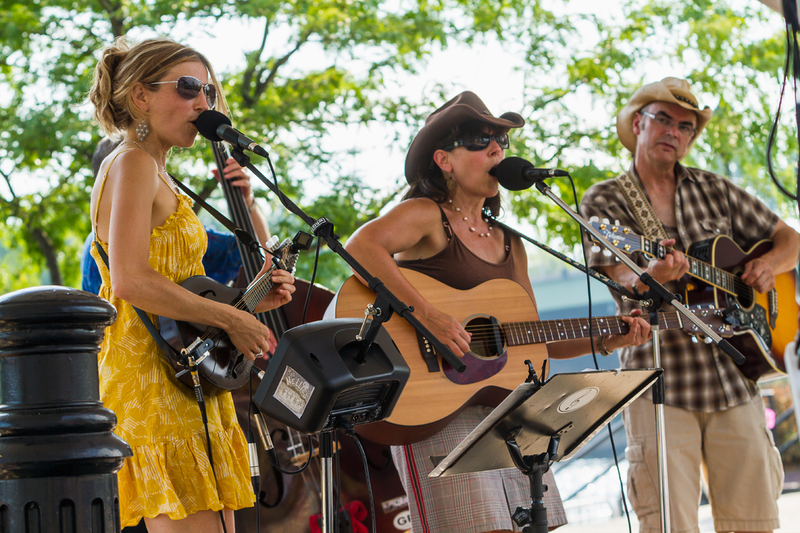 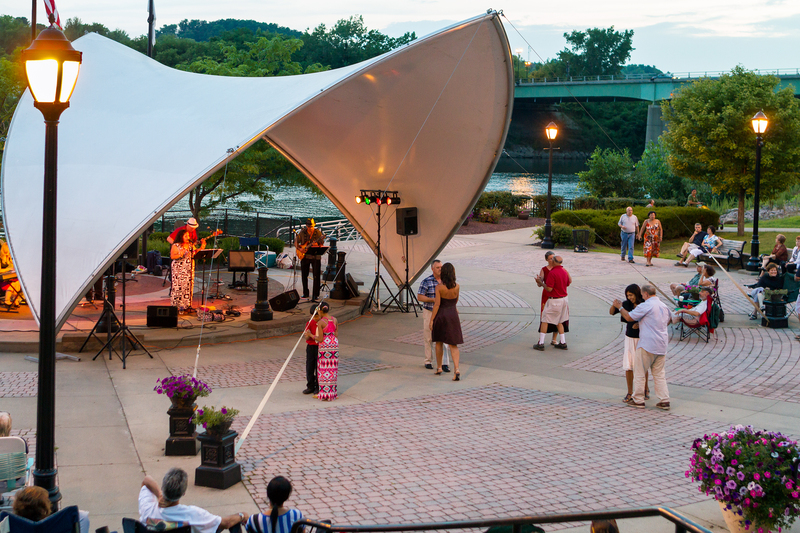 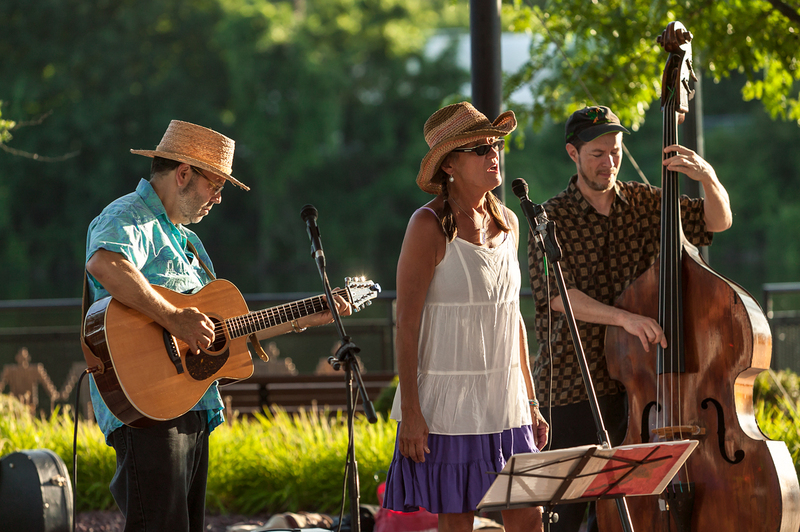 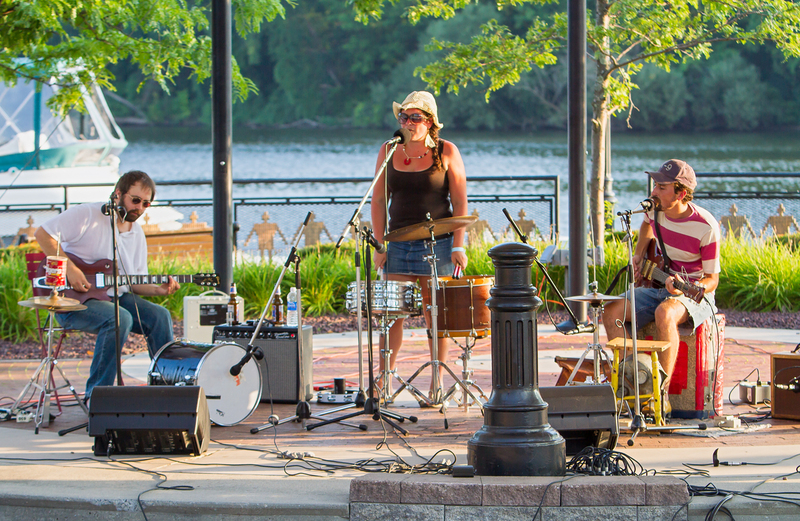 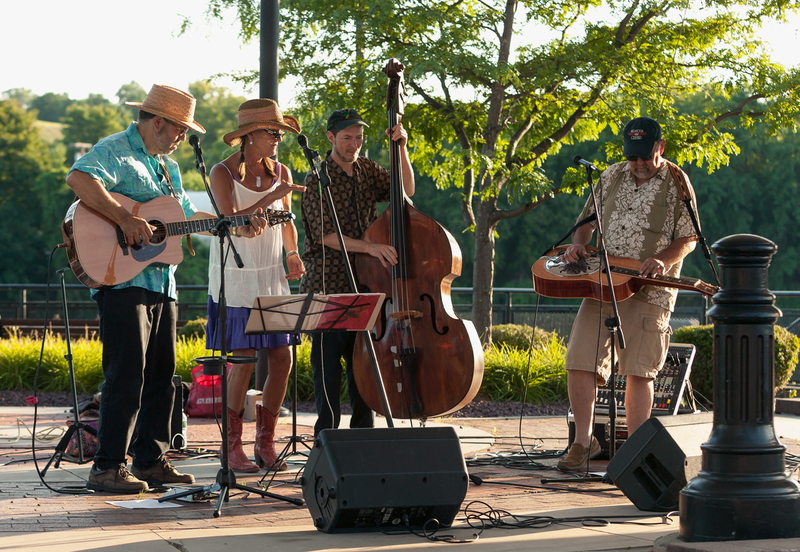 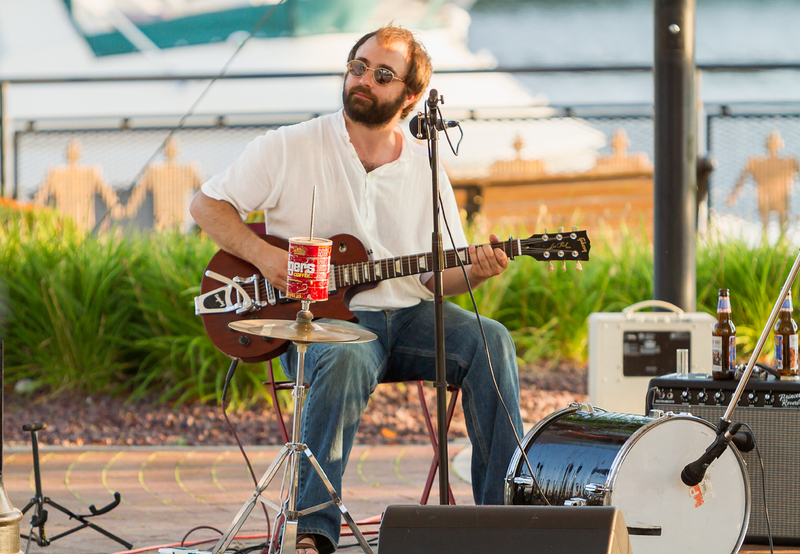 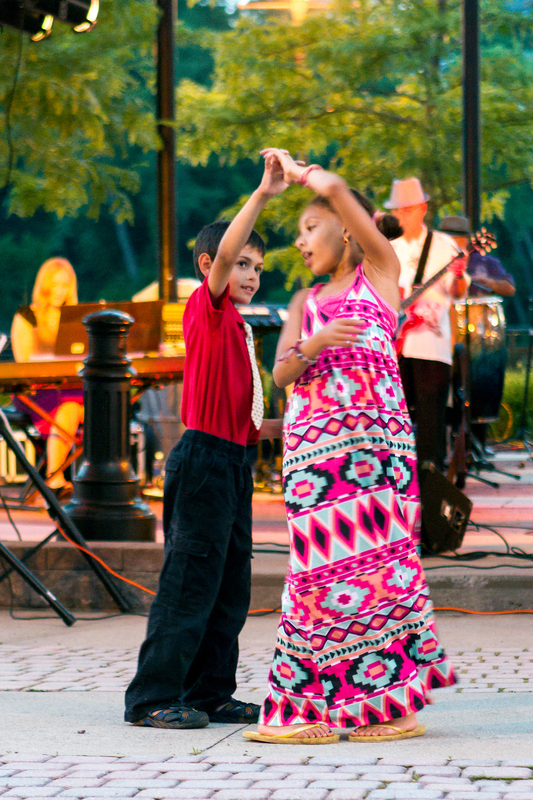 The third installment of Amsterdam’s Riverlink Park Concert Series took place Saturday night featuring Annie and the Hedonists. 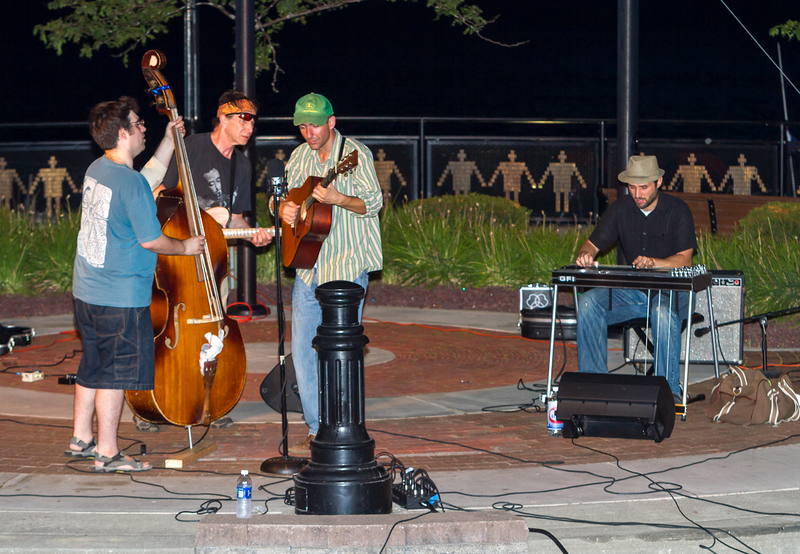 Their acoustic sound was bluegrass, ballads and early jazz. 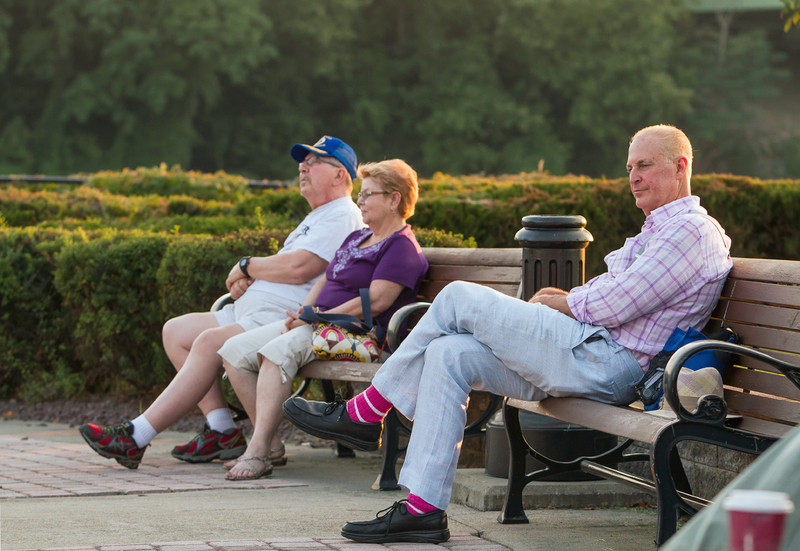 There were about 200 people in attendance, a variety of ages. 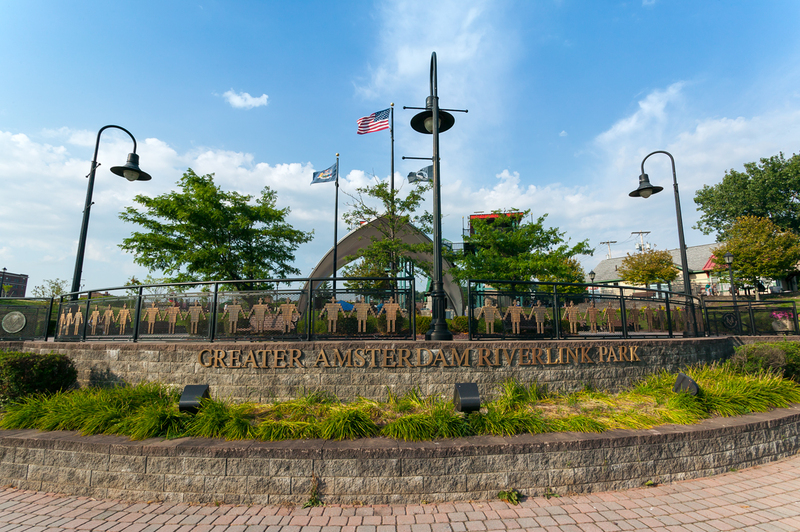 Riverlink Park looks progressively better each week. 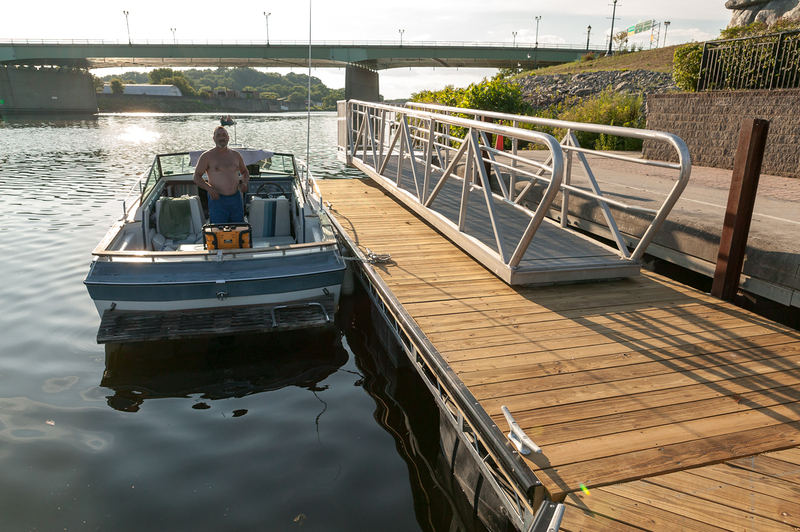 The new floating docks are installed, a big improvement! 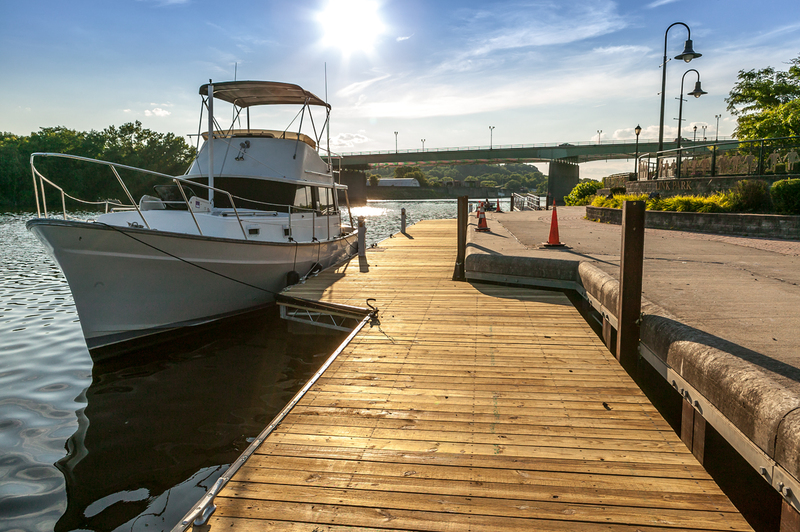 They are wider than the old storm-swept docks, making room for smaller boats to pull up to the park and have dinner or enjoy the show. 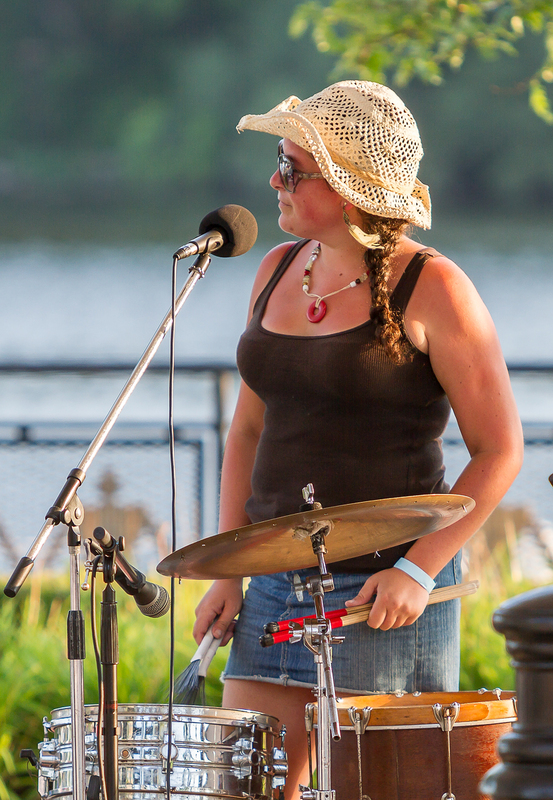 It was a clear, relatively cool night and Annie sounded great as she belted out one tune after the next.